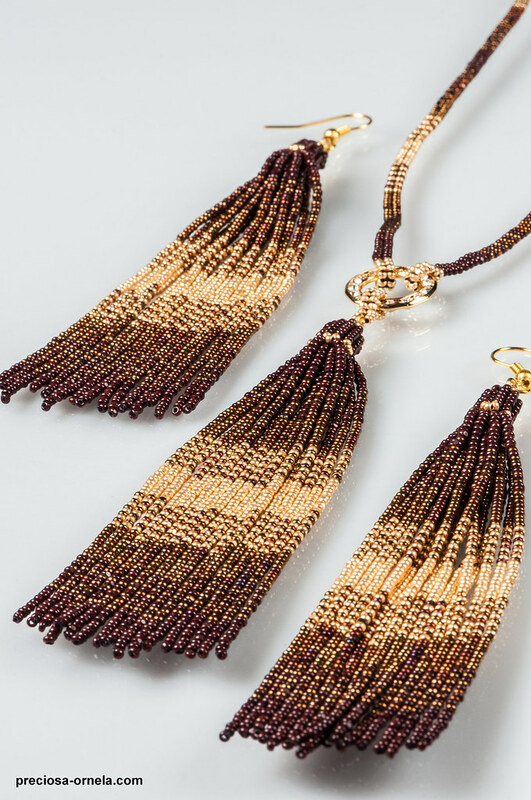 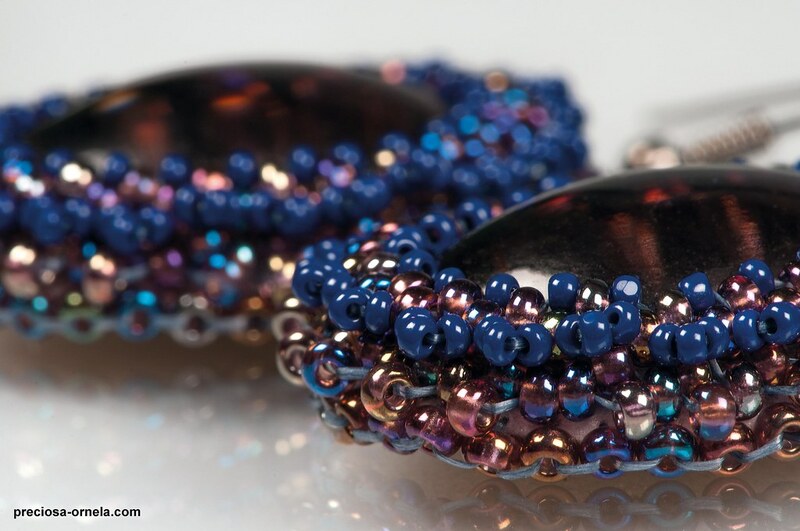 PRECIOSA ORNELA presents the CALIFORNIA collection of ten dual-coloured metallic decorations in matt and gloss variants used on its most popular new beads from the PRECIOSA Traditional Czech Beads brand. 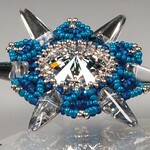 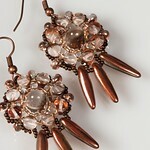 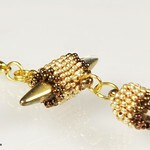 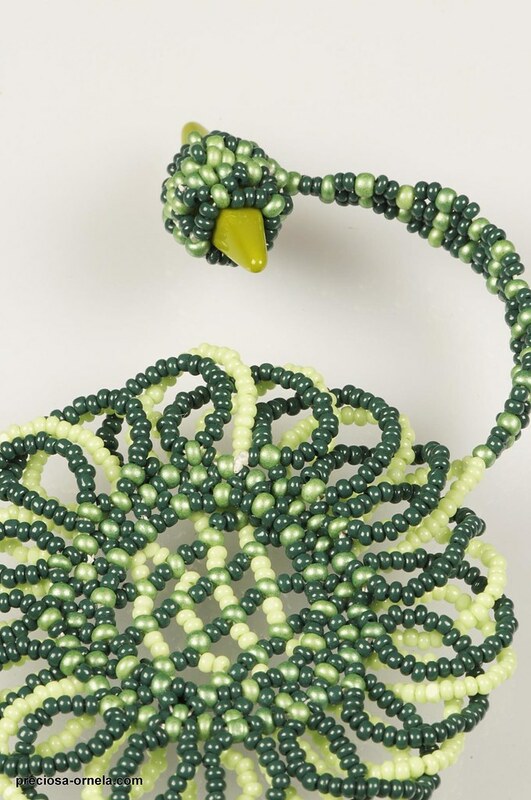 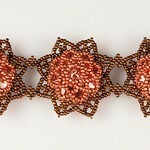 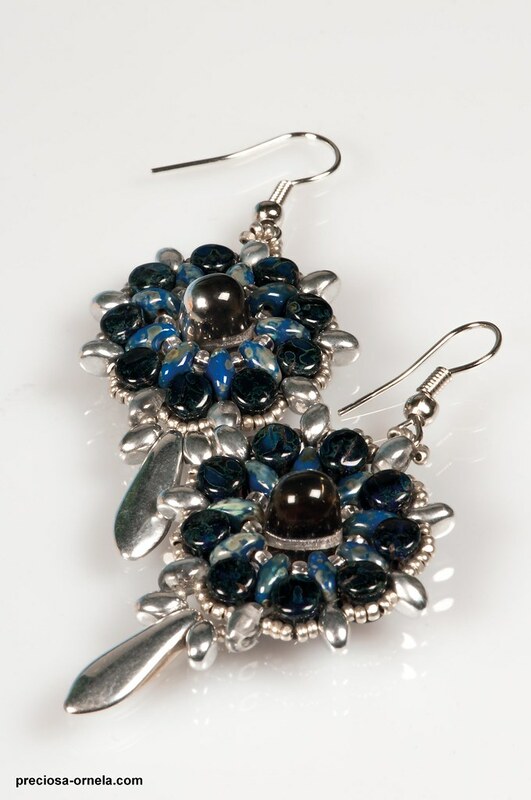 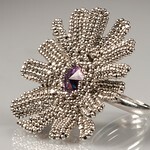 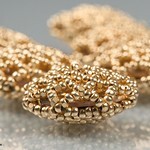 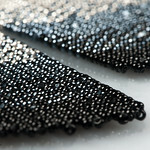 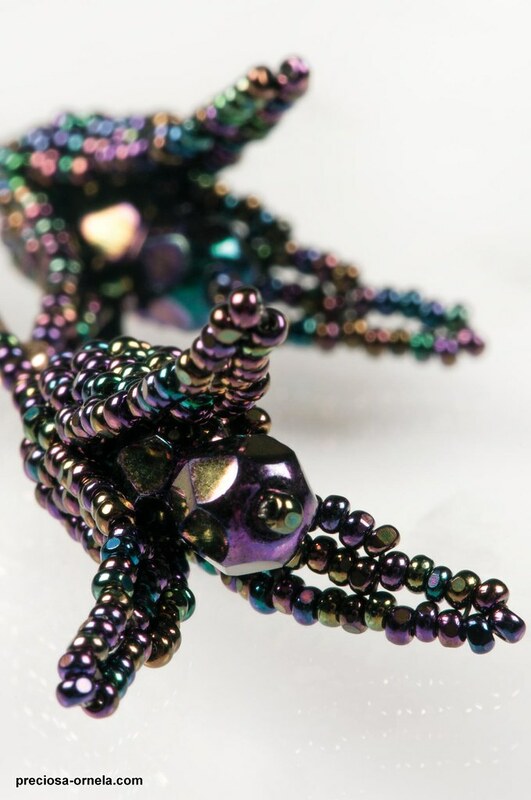 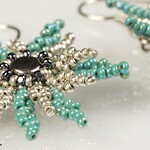 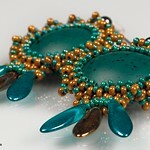 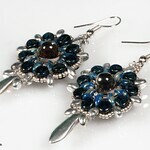 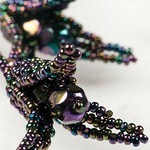 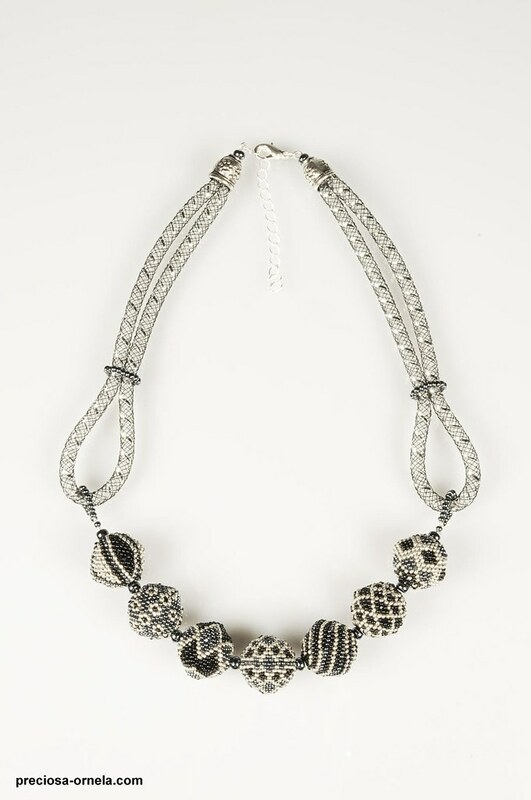 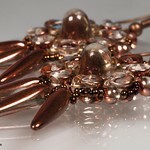 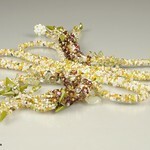 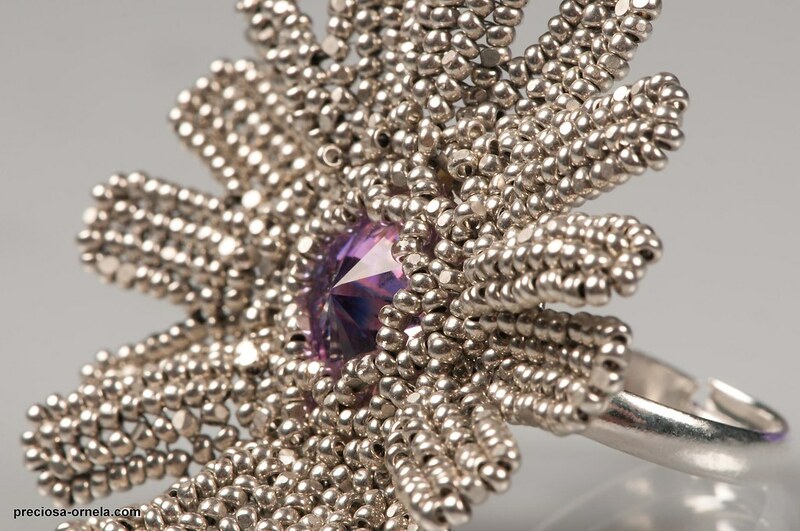 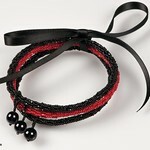 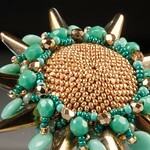 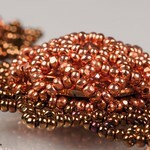 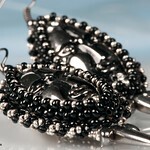 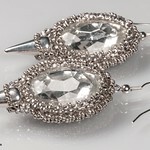 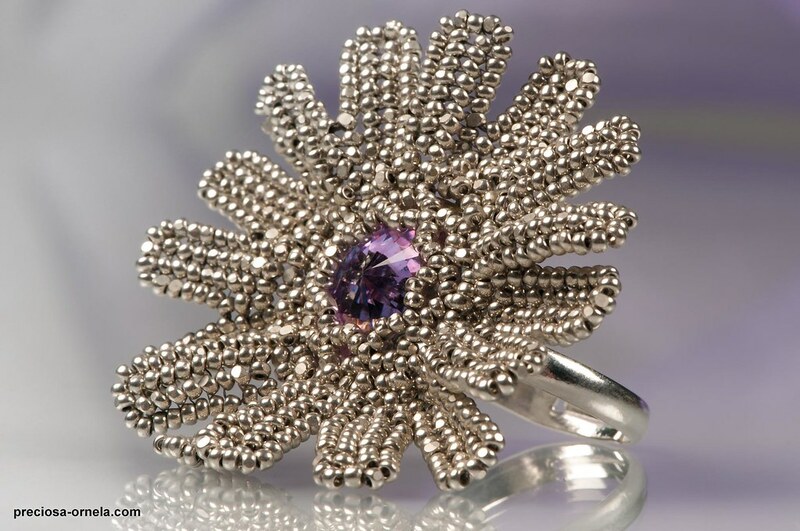 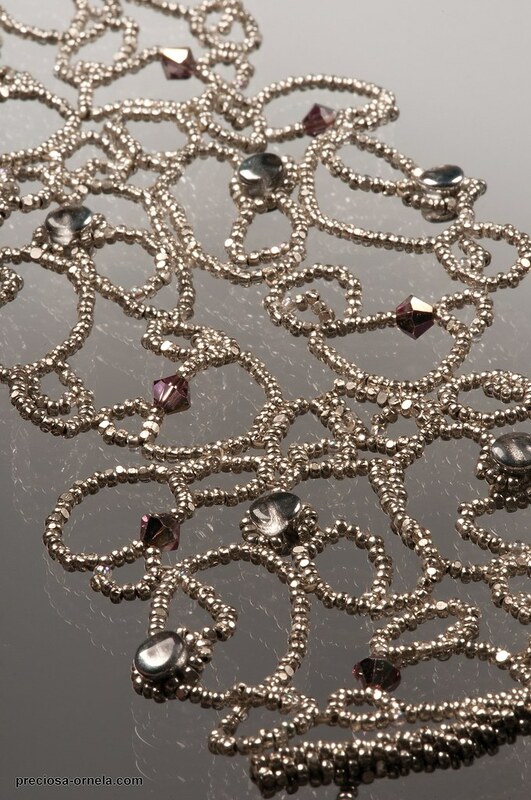 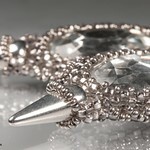 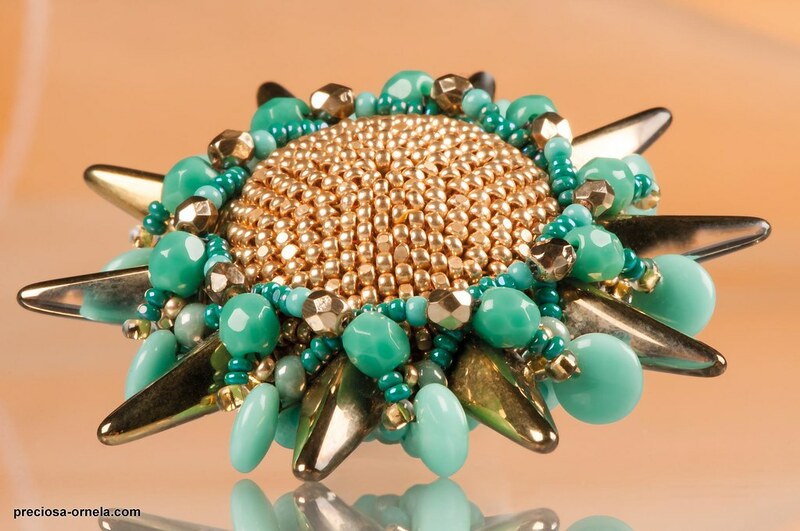 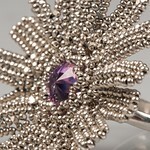 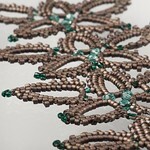 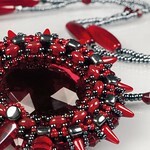 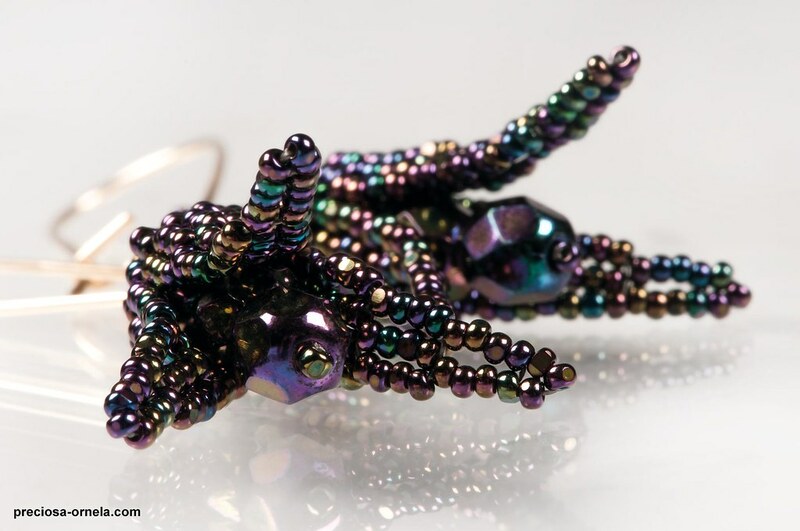 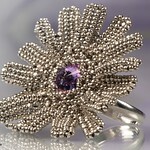 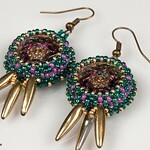 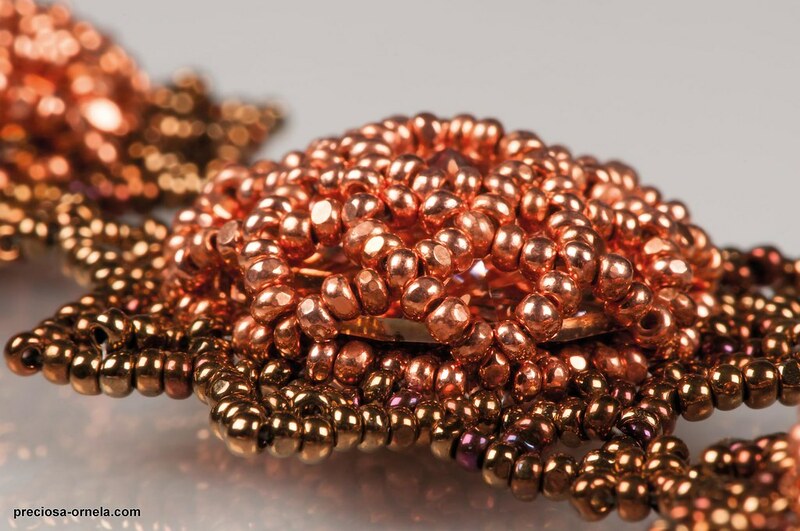 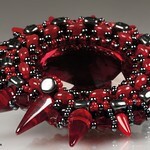 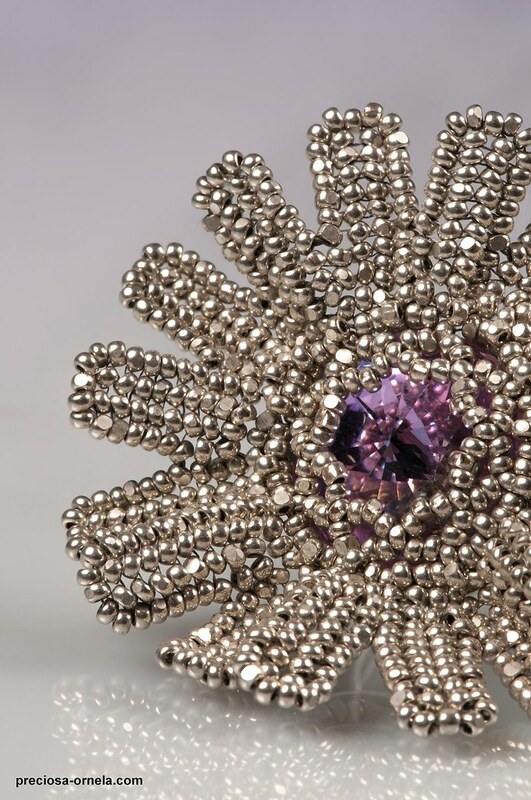 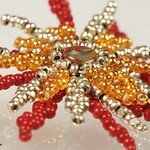 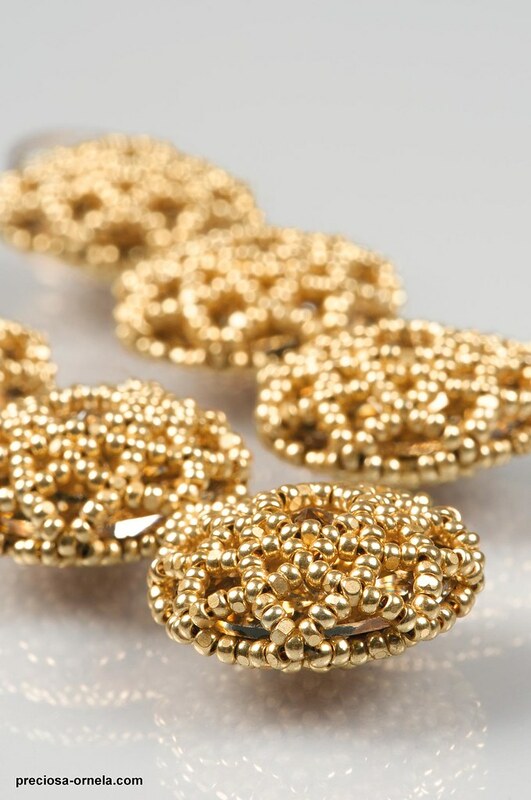 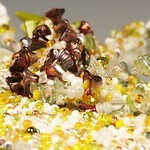 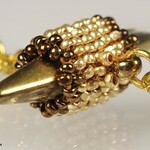 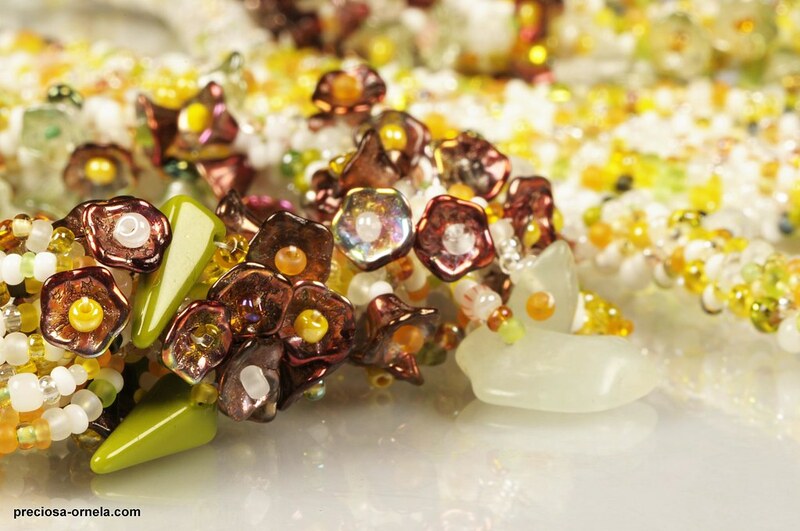 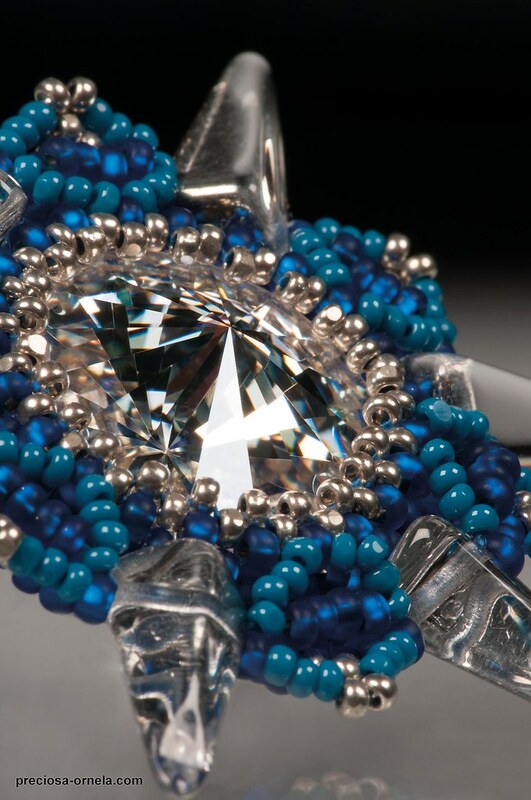 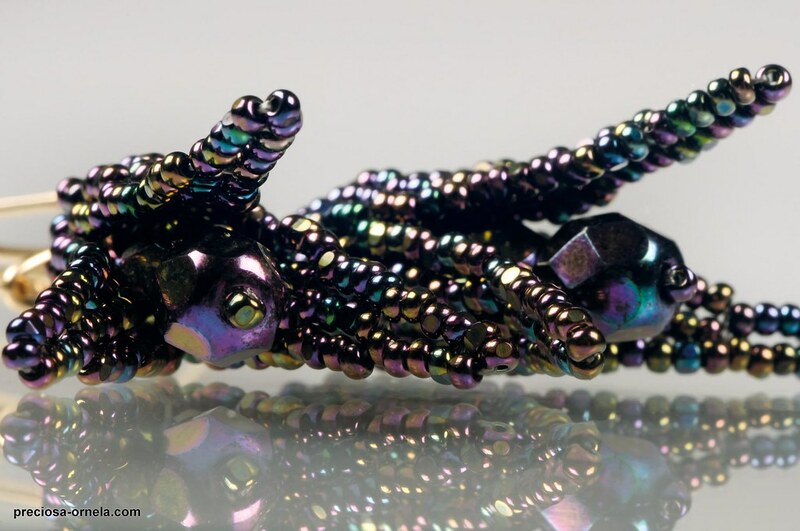 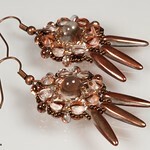 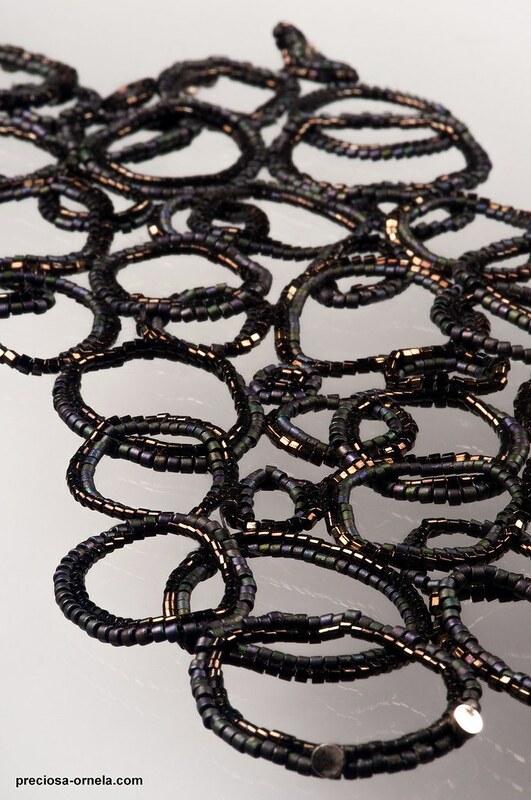 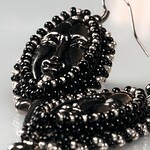 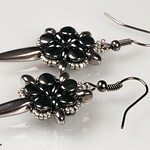 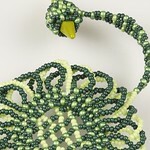 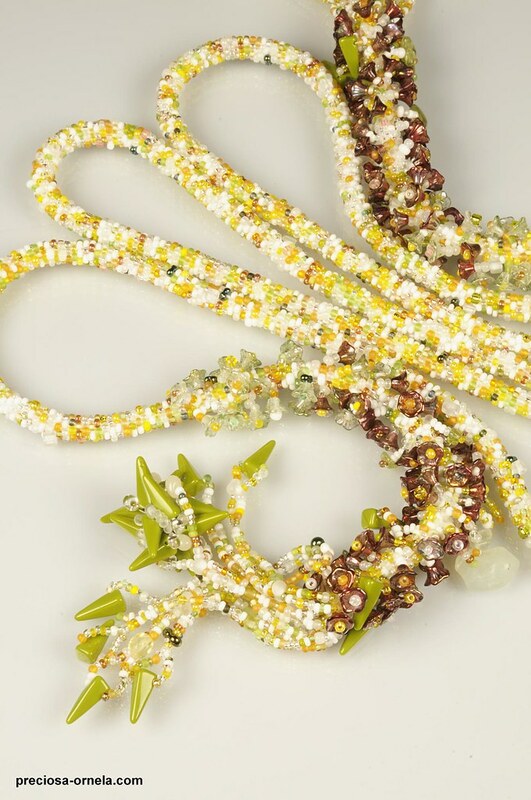 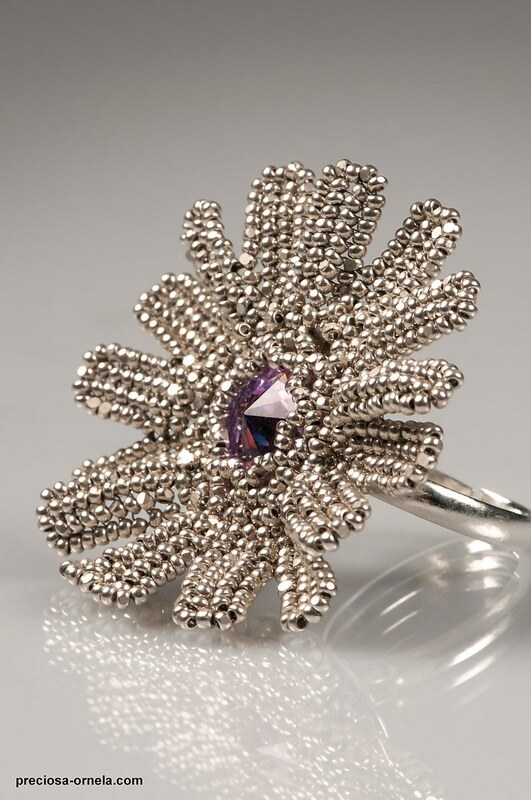 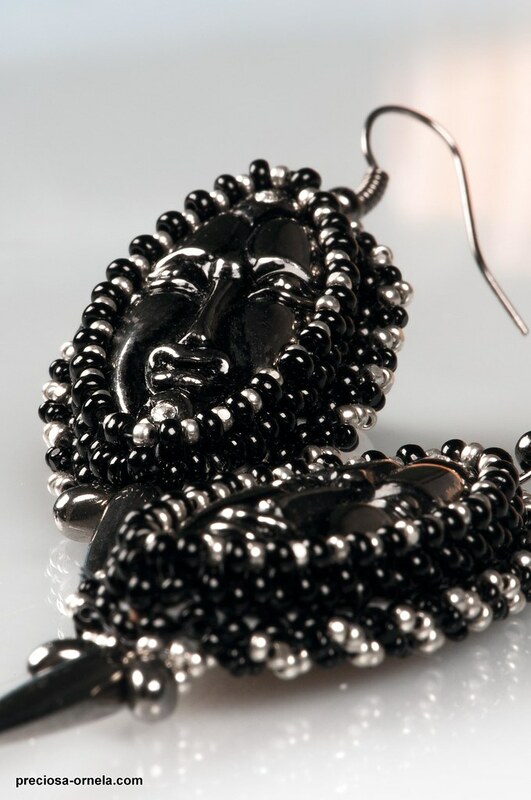 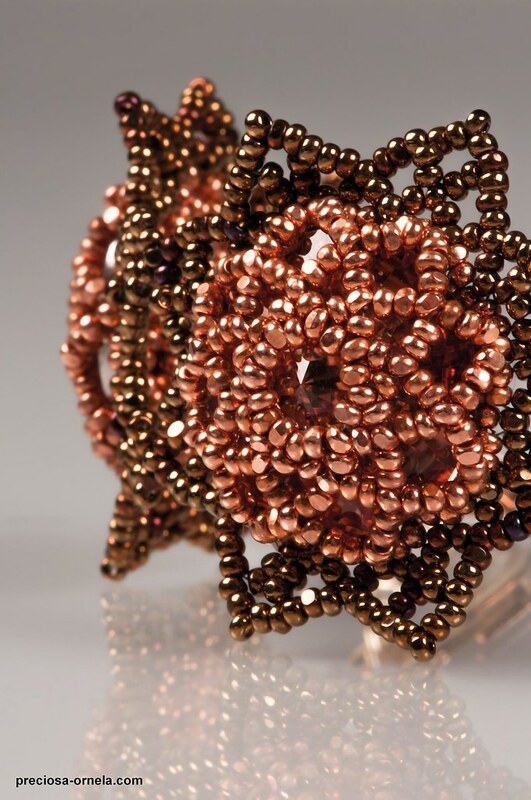 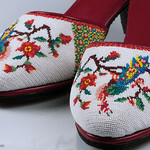 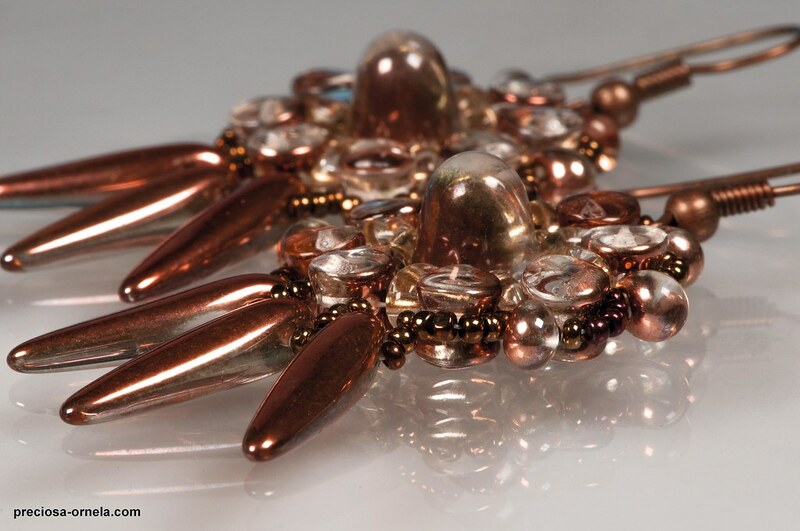 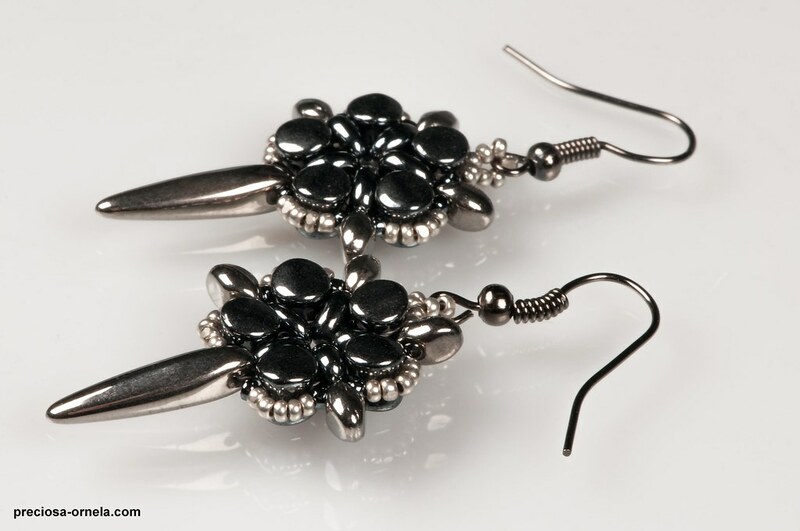 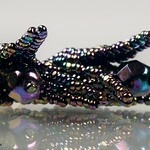 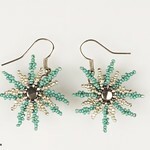 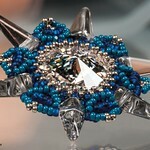 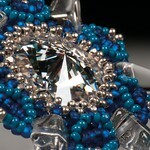 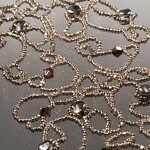 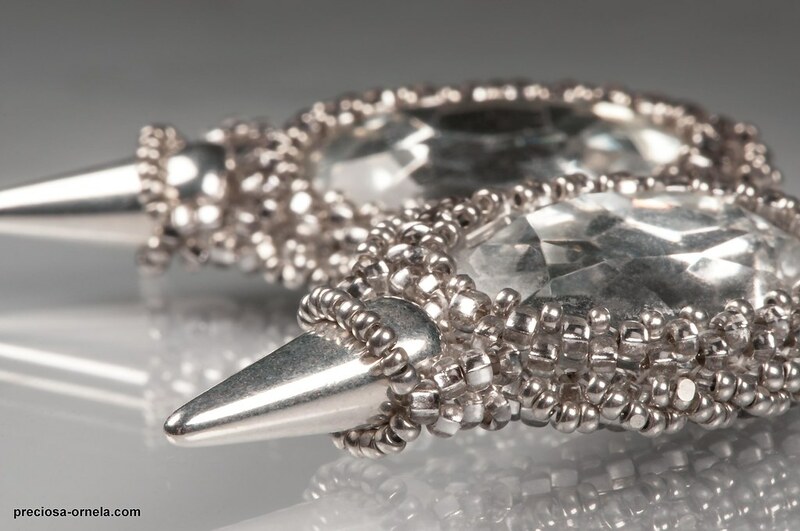 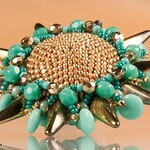 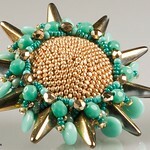 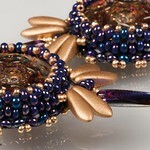 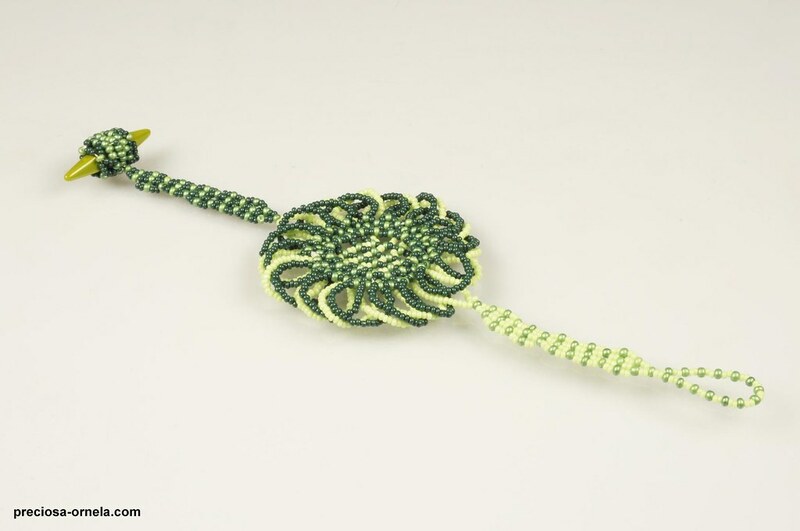 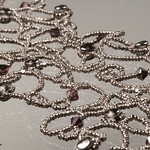 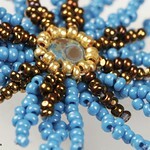 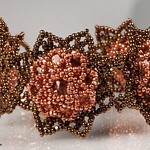 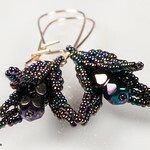 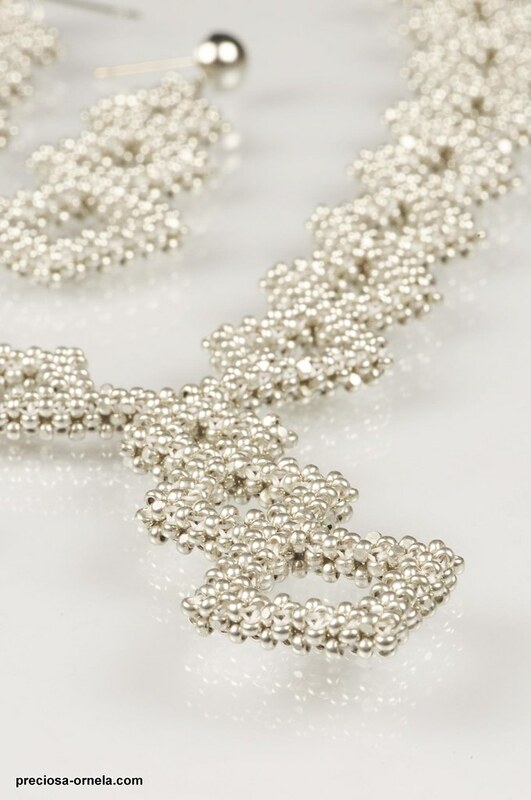 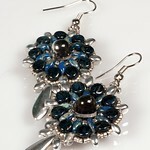 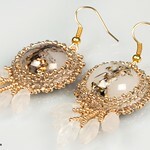 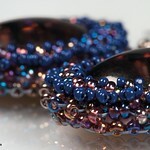 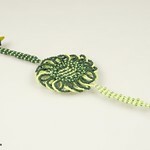 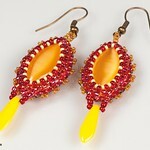 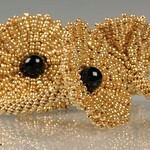 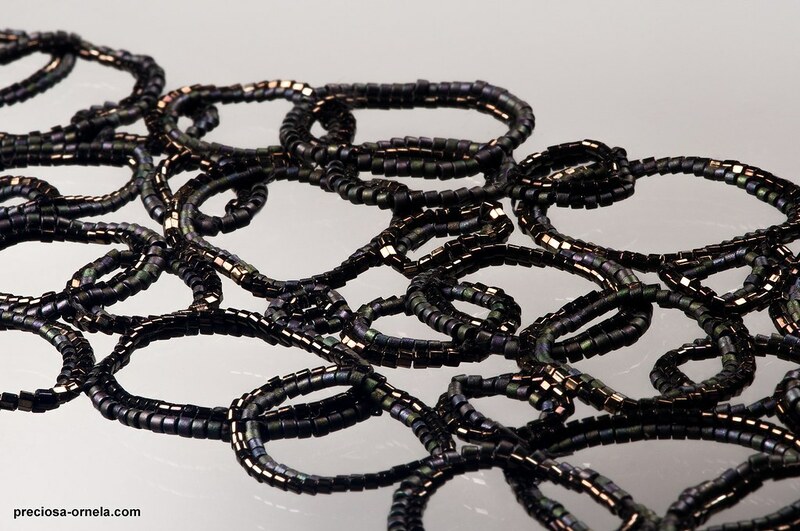 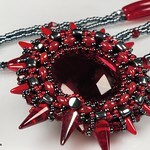 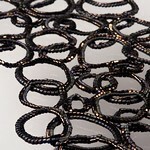 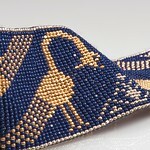 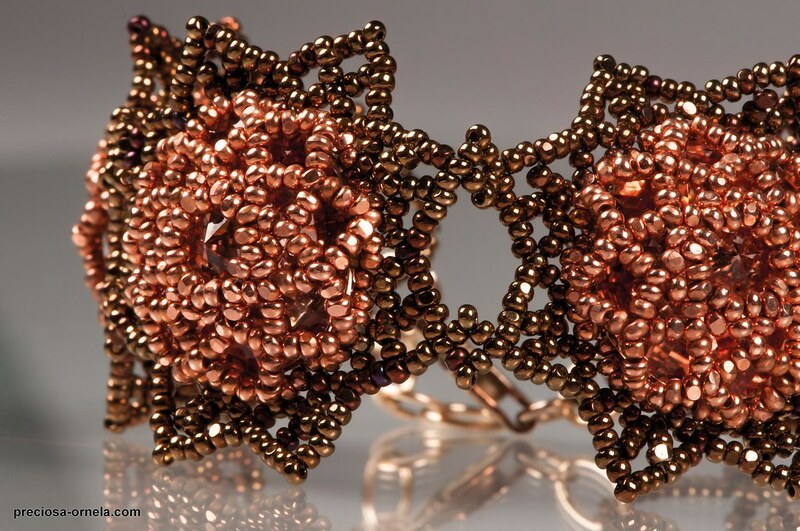 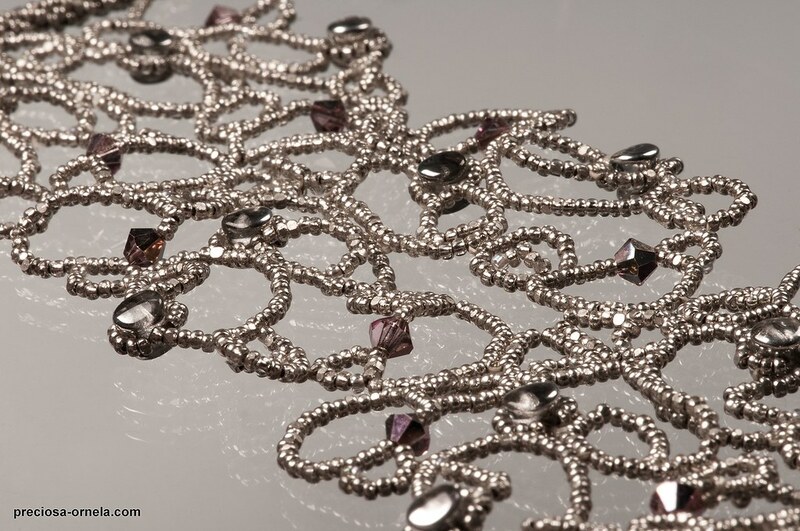 It is used on the pressed and seed bead versions of the PRECIOSA Twin™ and on other new beads, i.e. 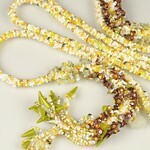 PRECIOSA Pip™ and PRECIOSA Solo™, which are excellently supplemented by both variants. 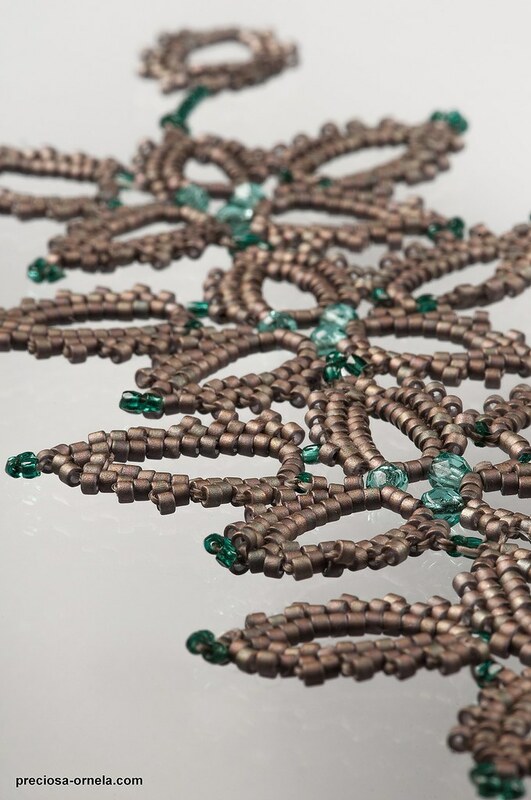 Preciosa Ornela's rocaille range contains many colors and sizes and it is distinguished by its high quality and regularity. 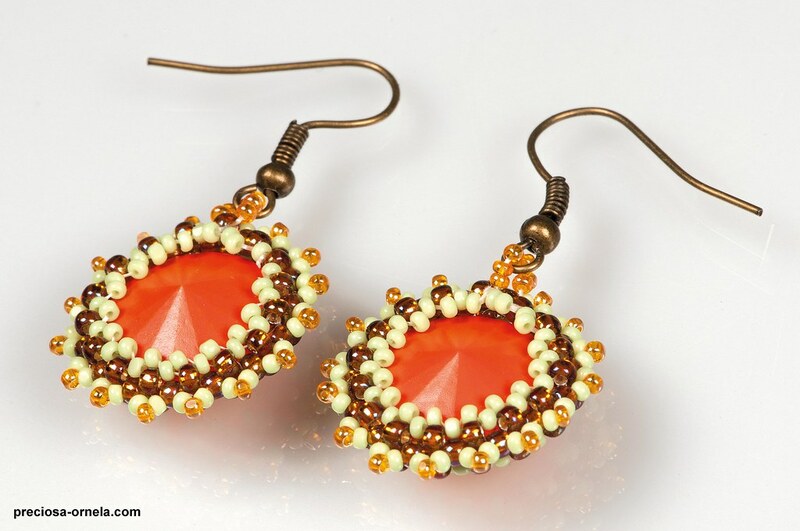 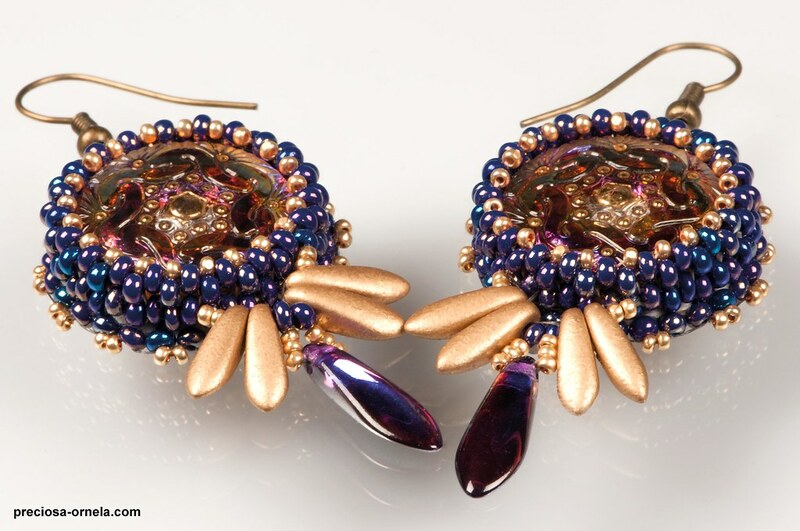 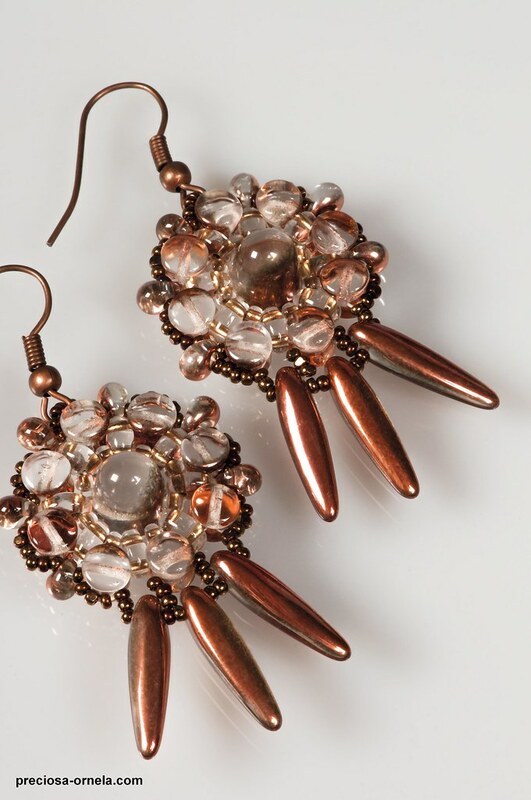 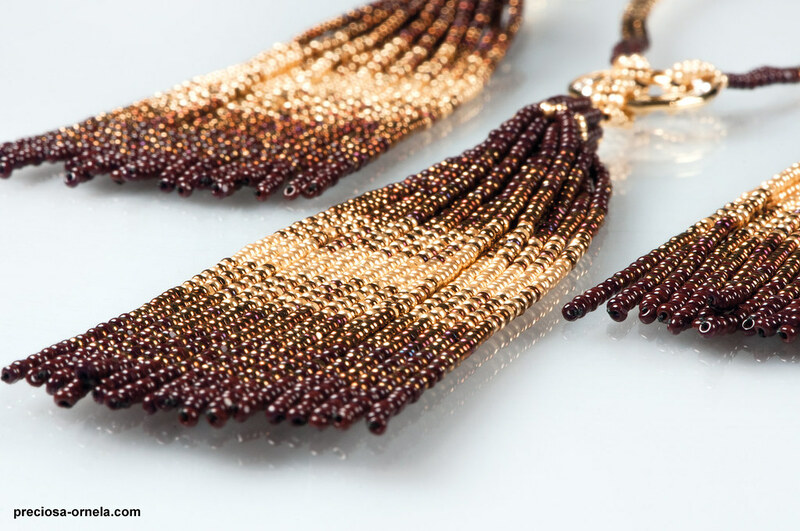 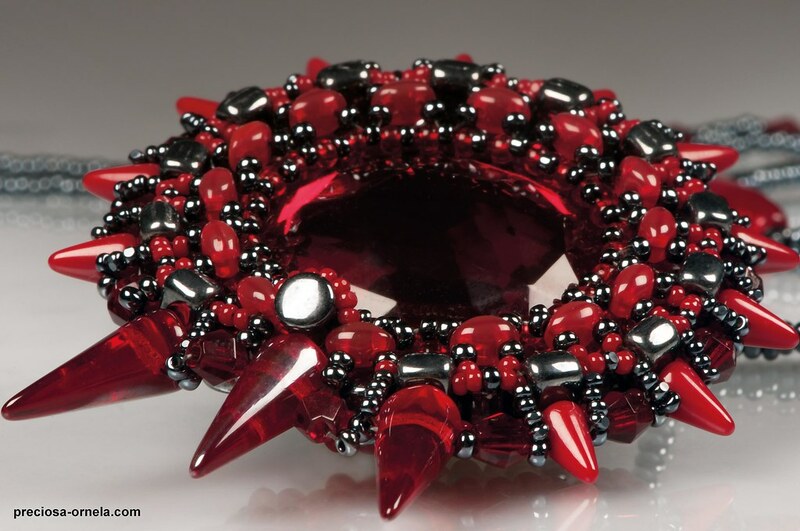 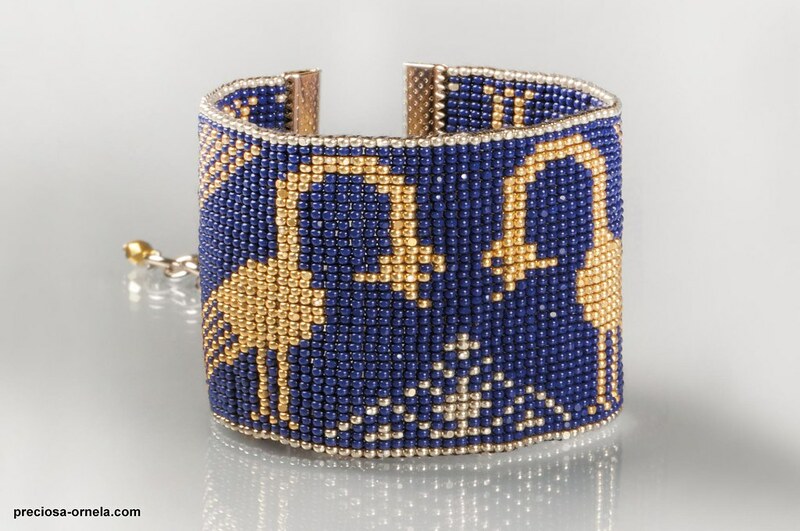 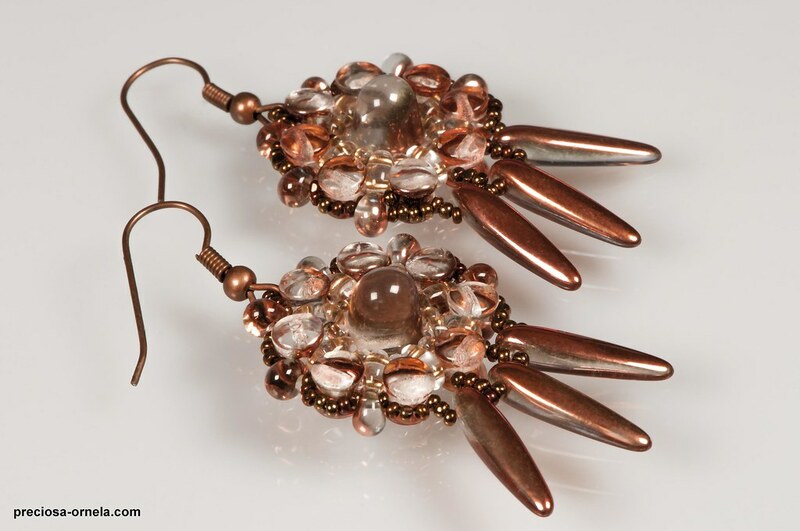 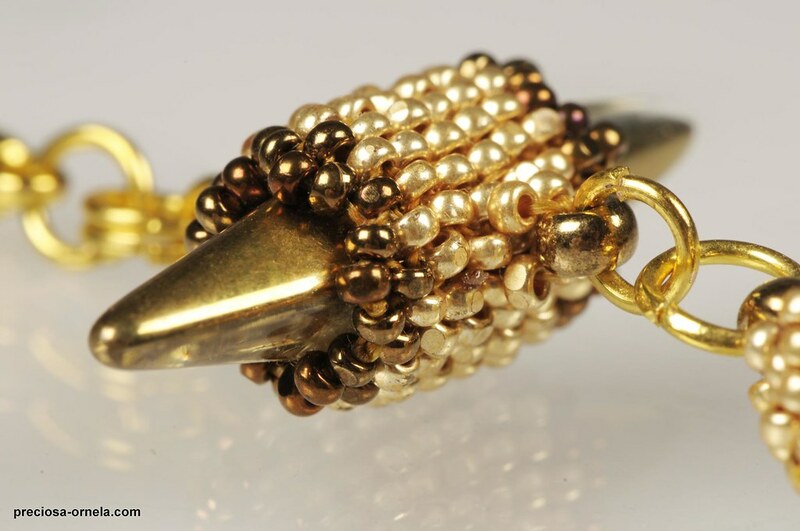 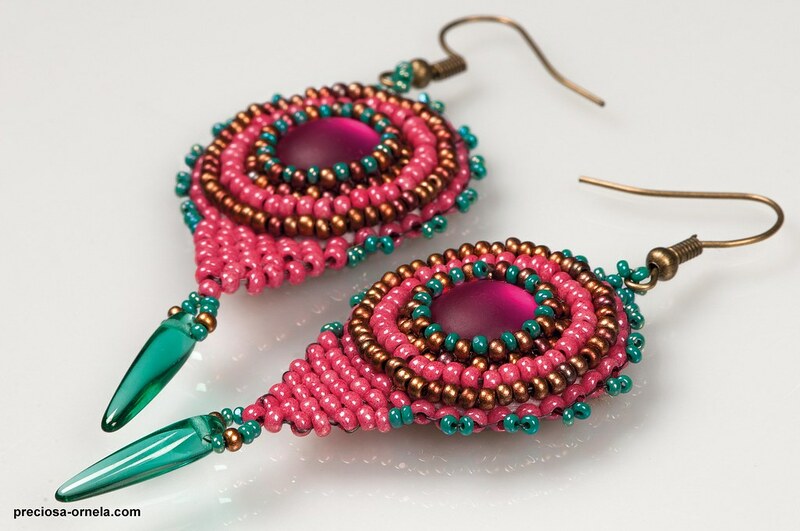 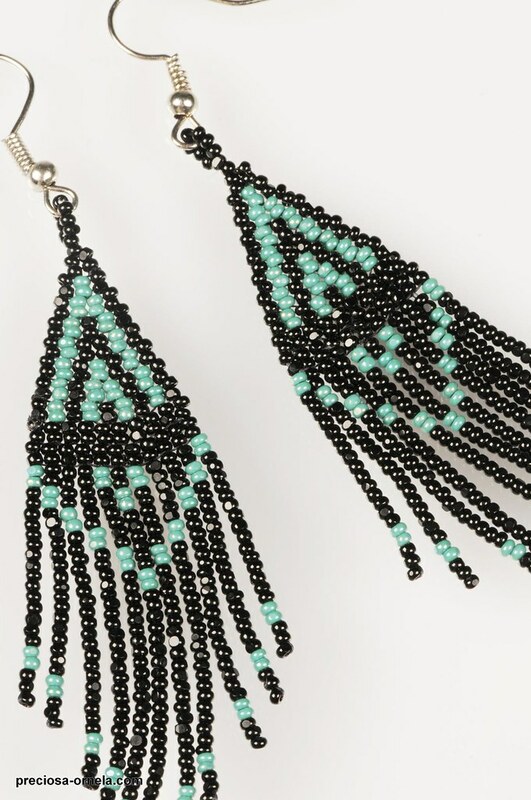 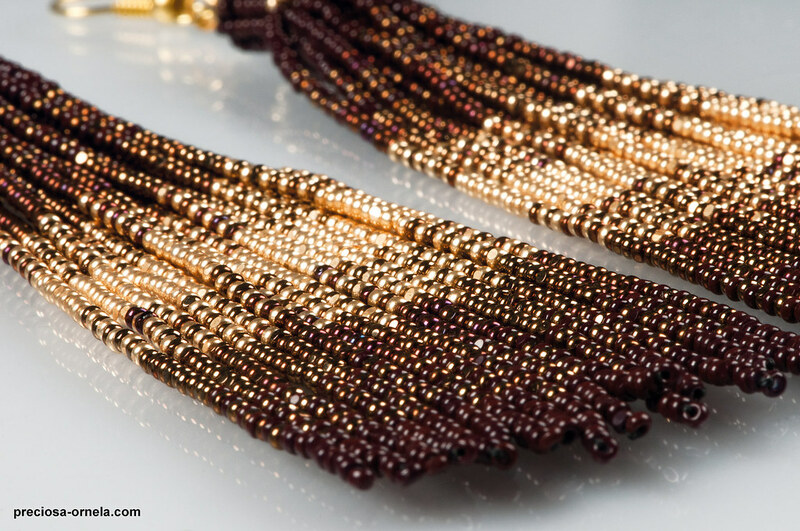 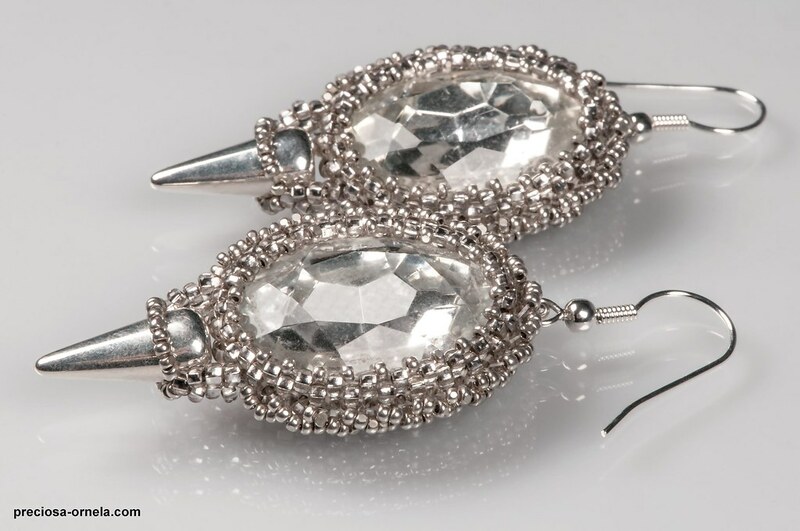 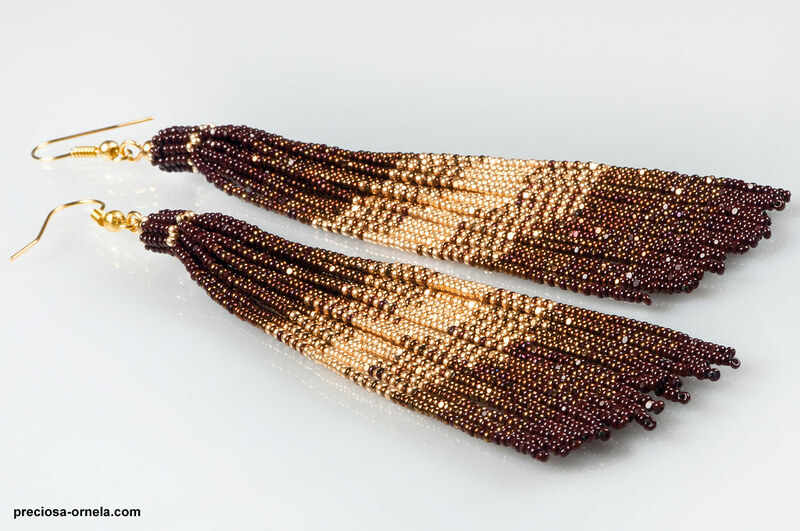 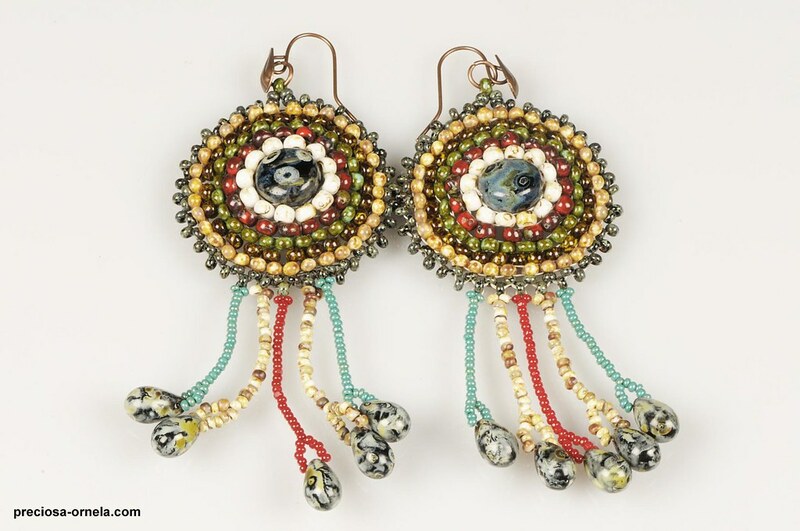 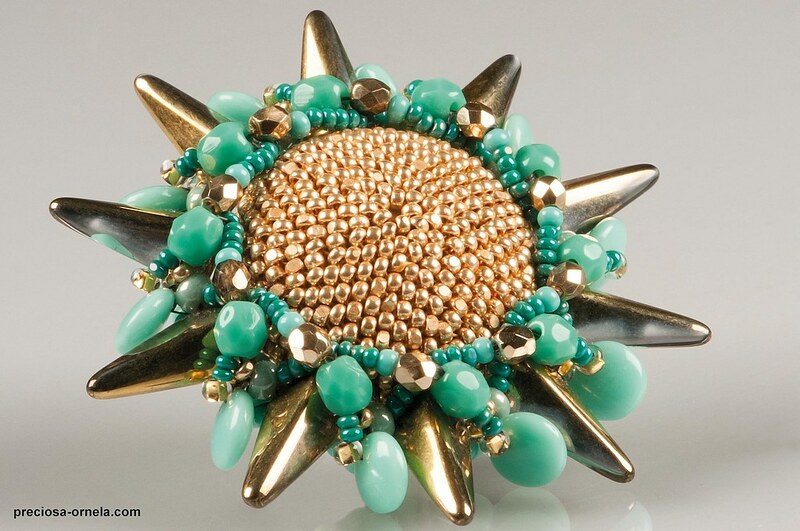 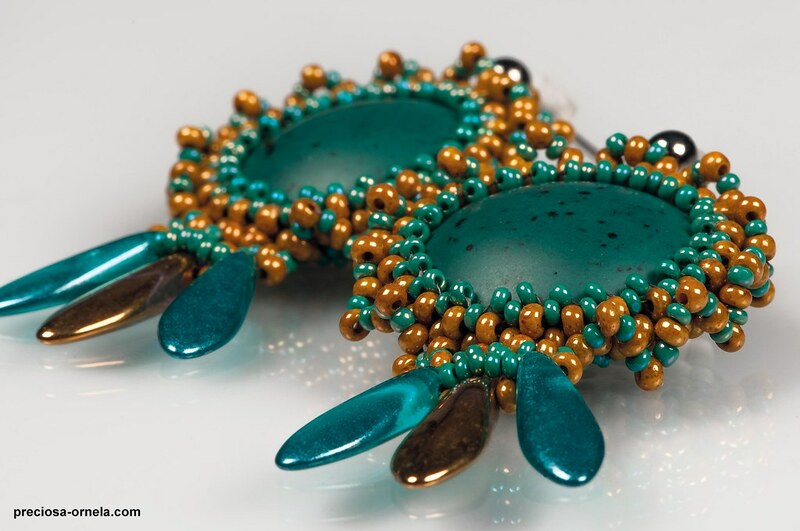 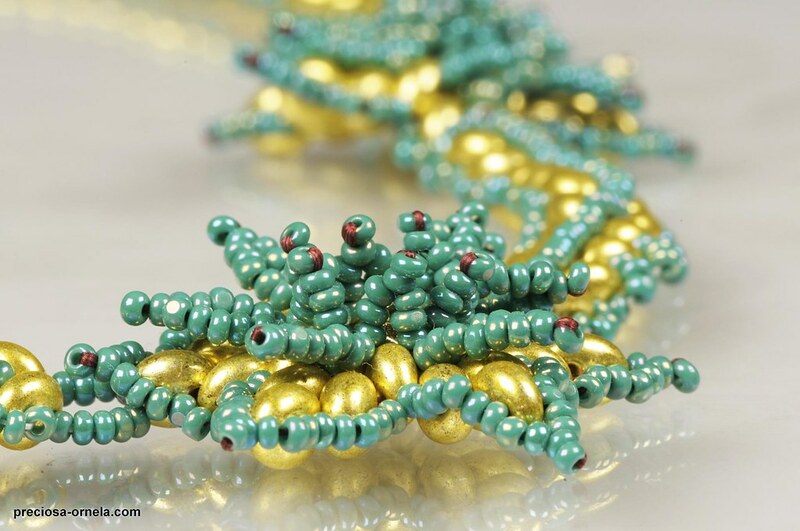 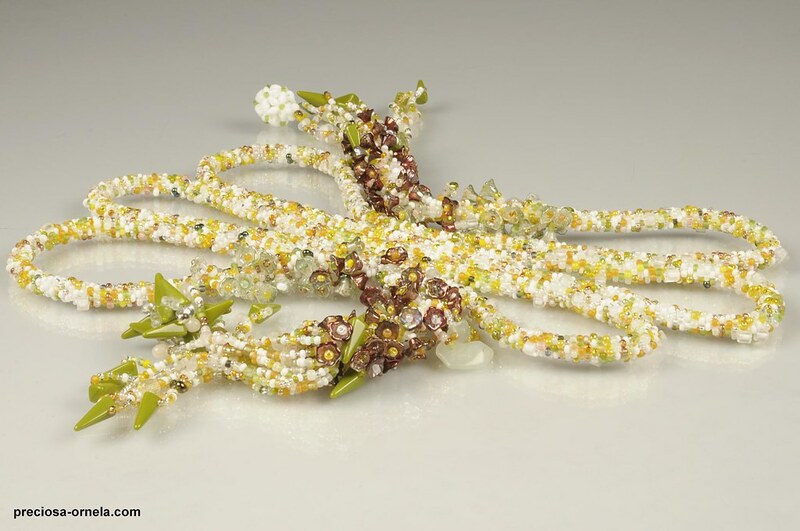 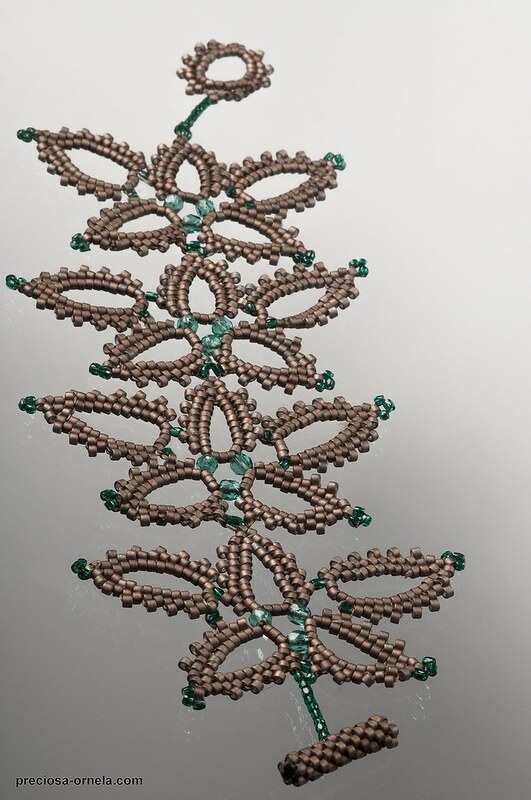 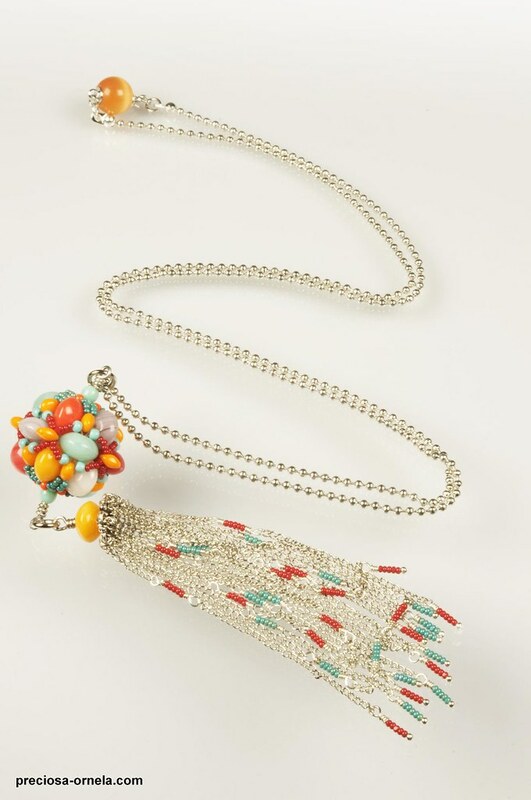 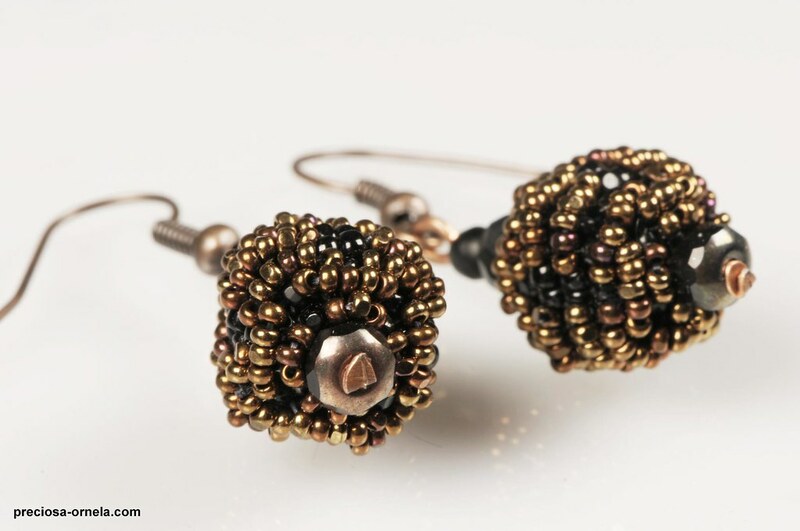 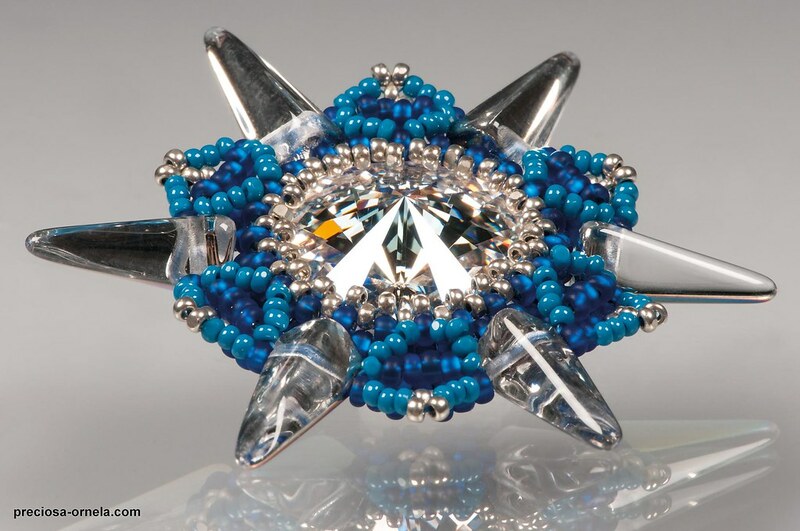 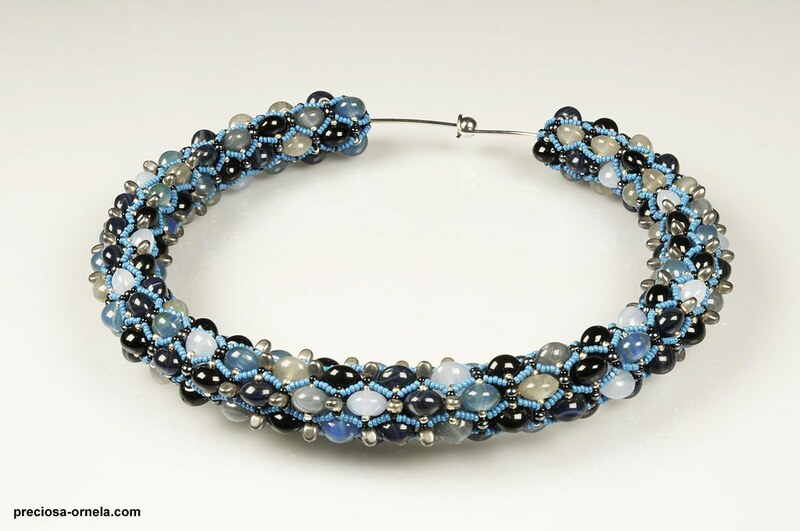 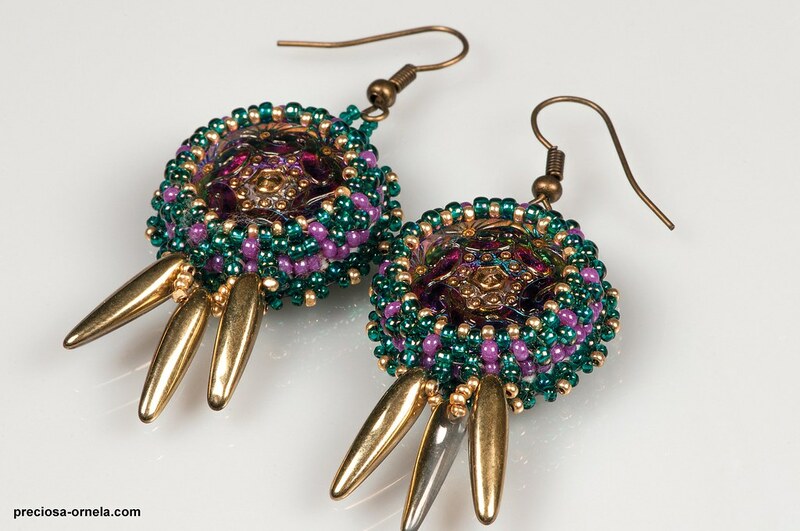 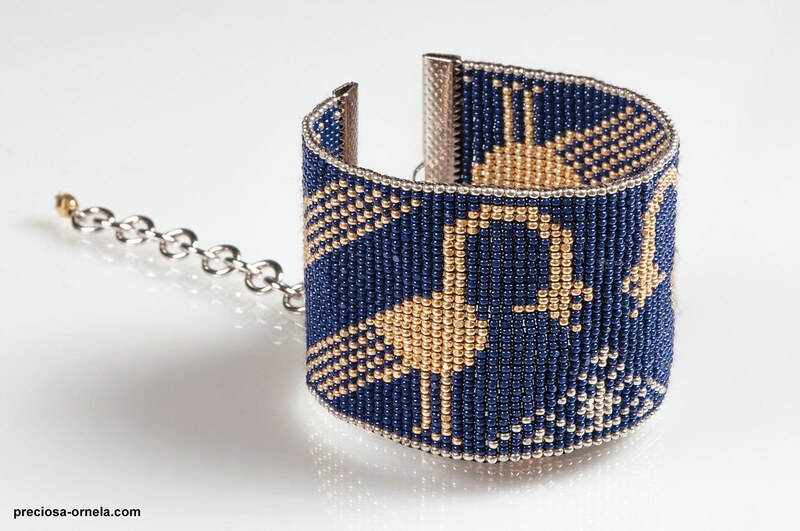 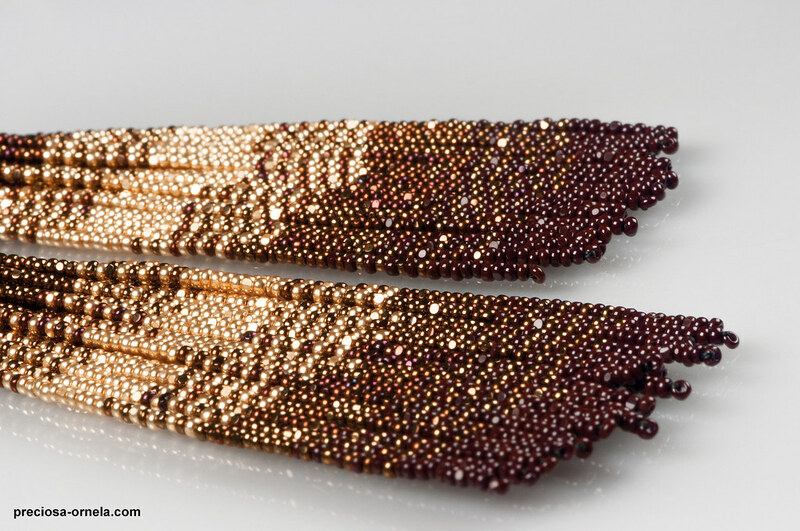 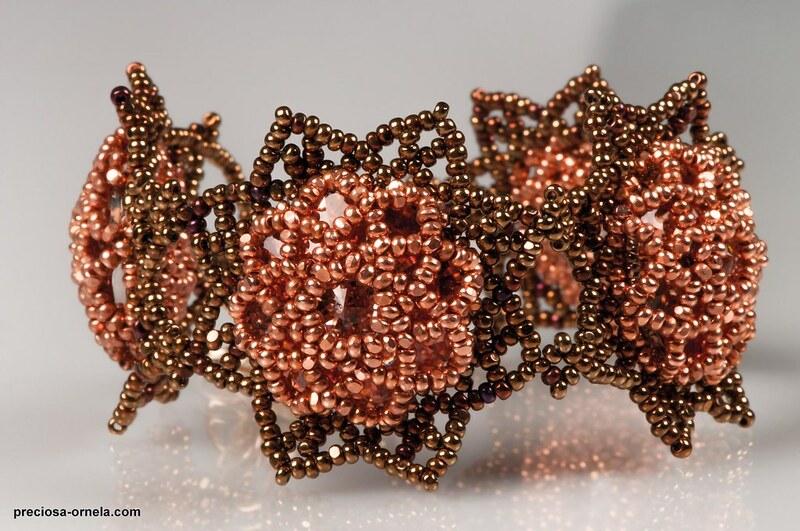 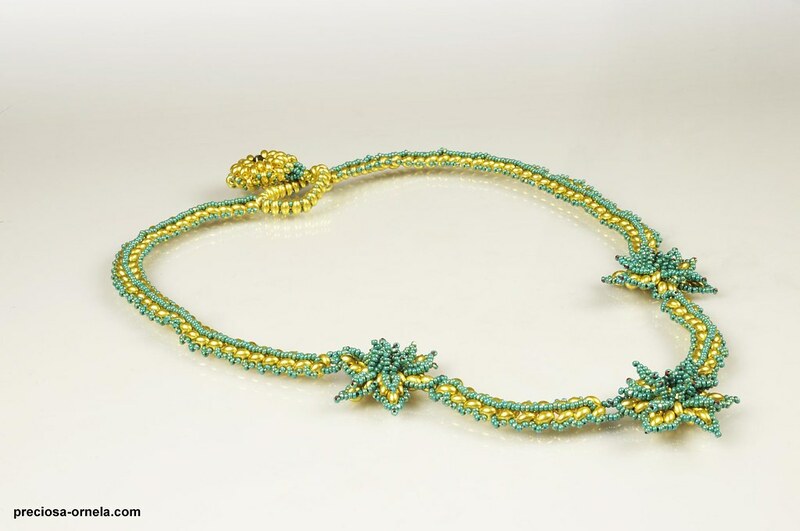 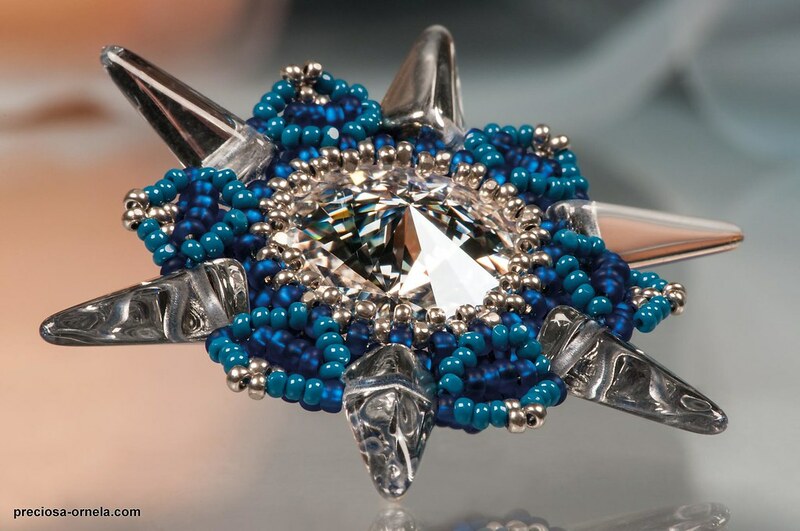 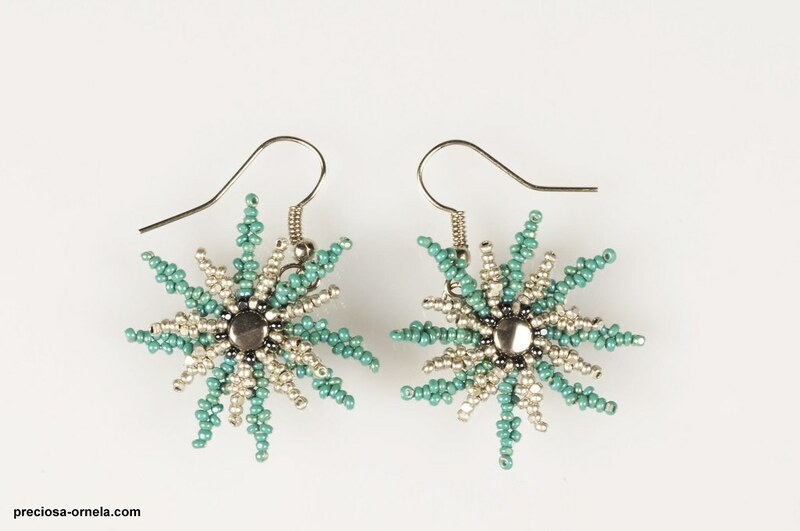 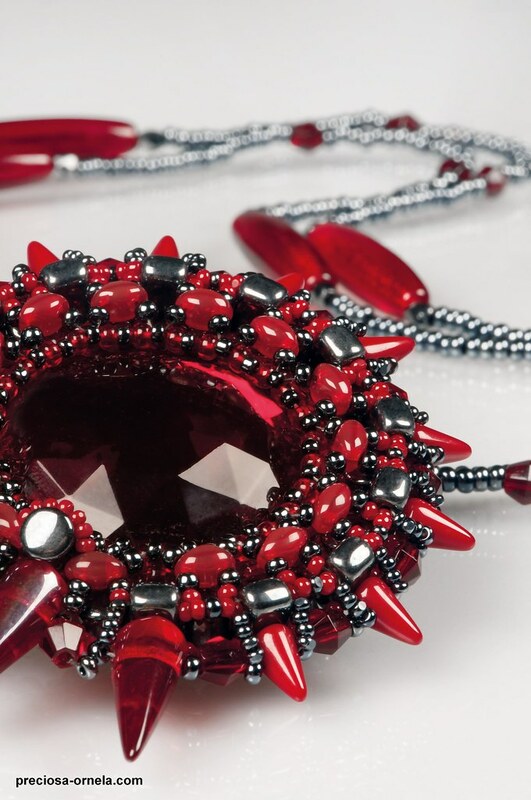 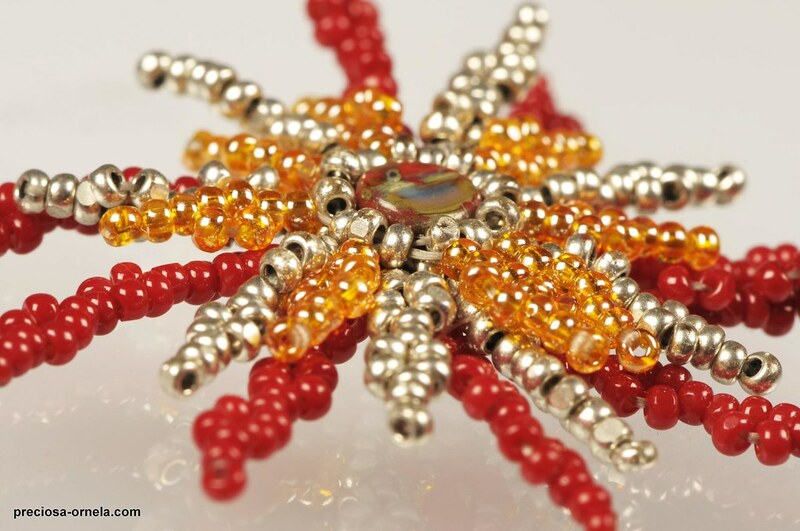 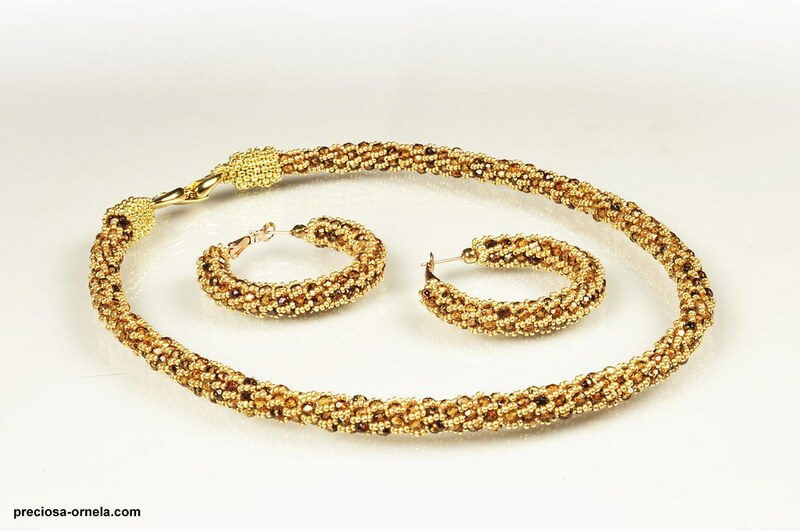 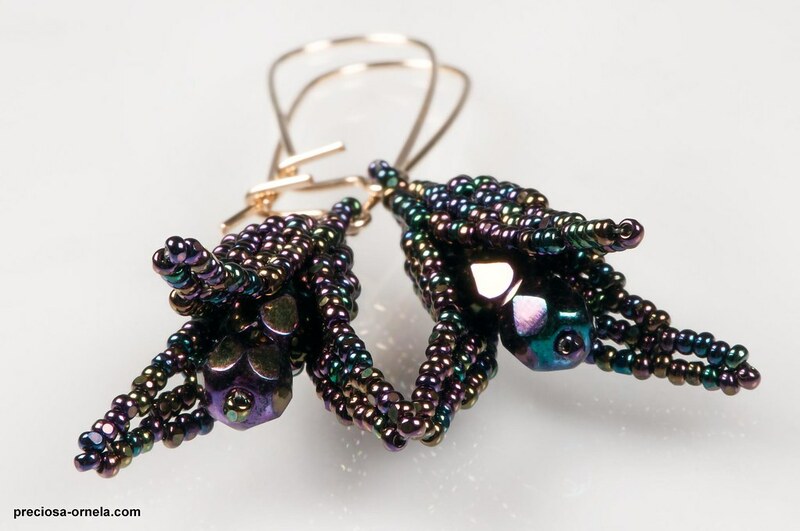 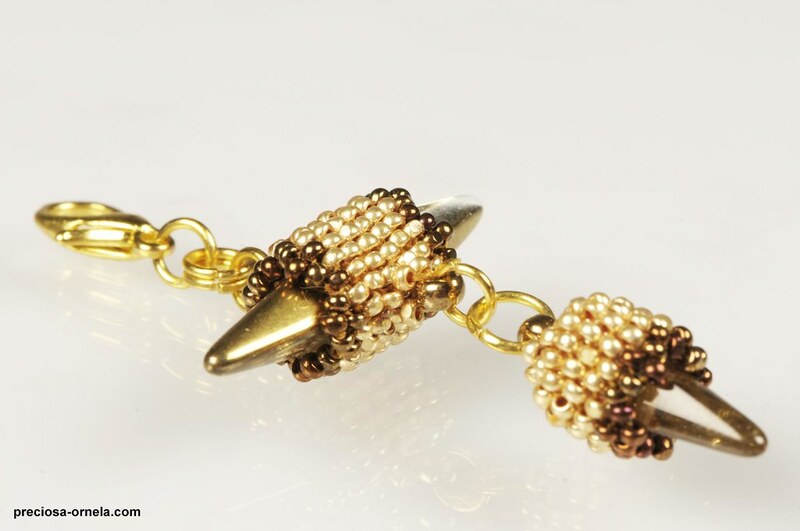 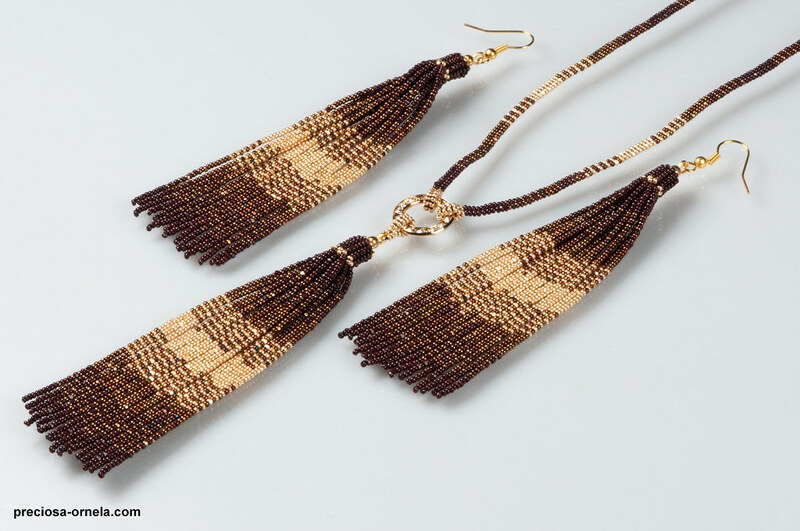 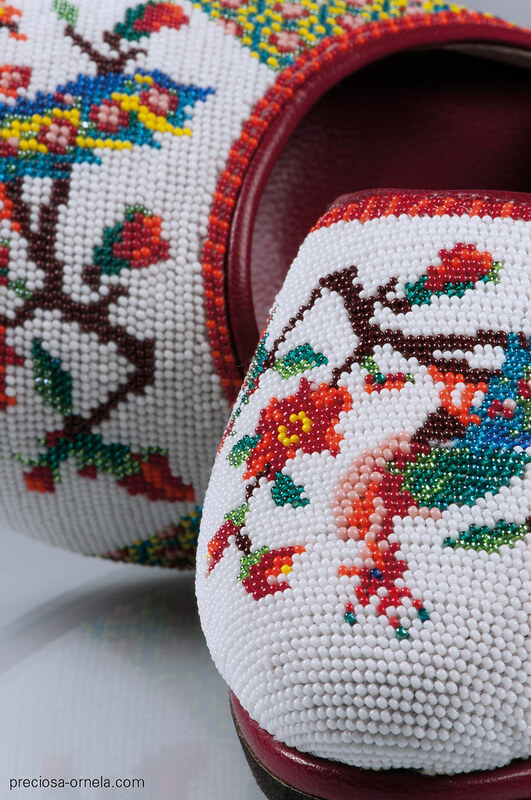 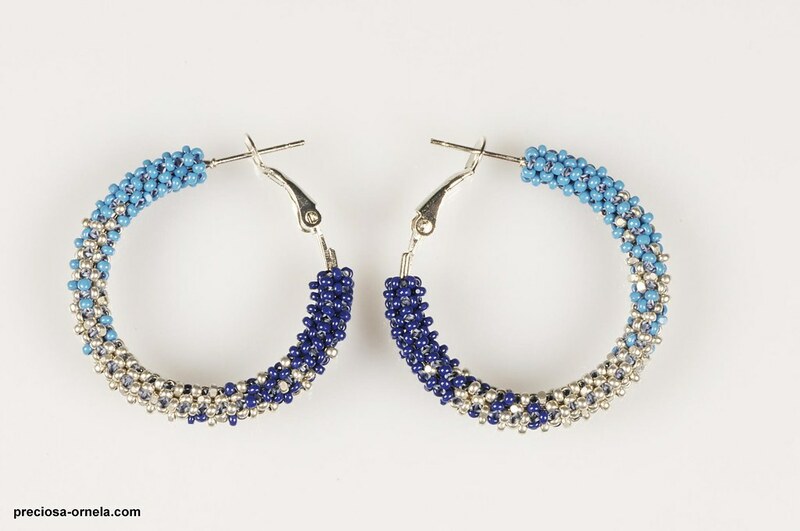 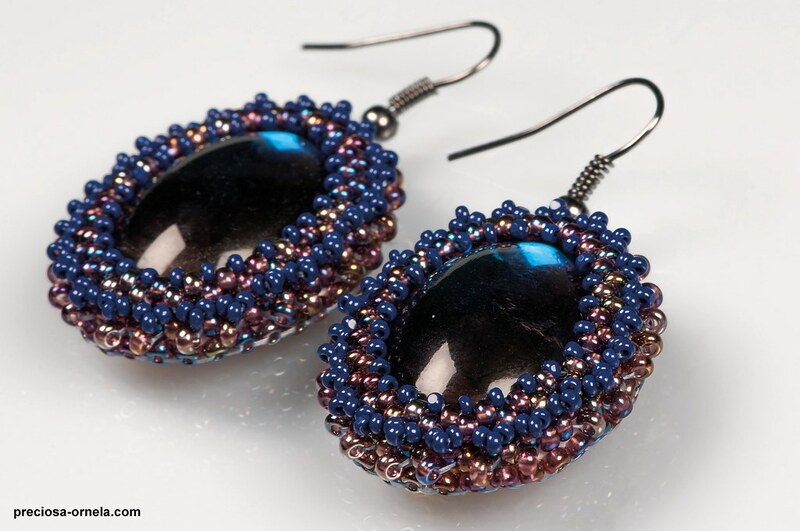 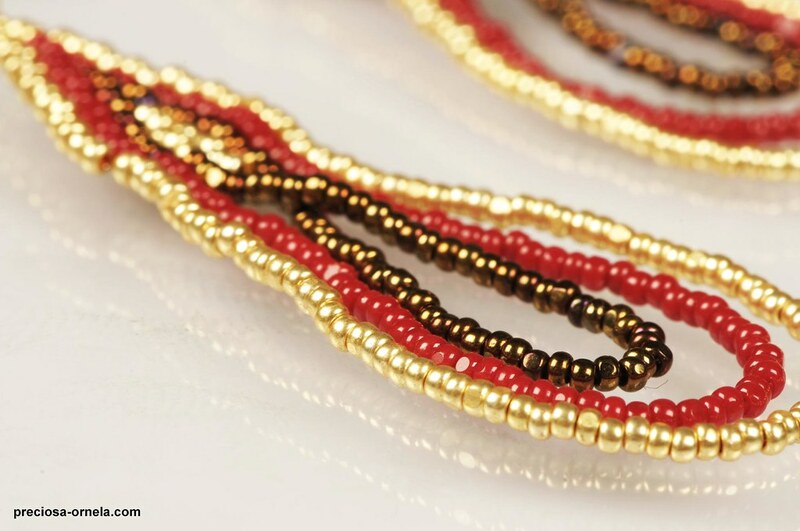 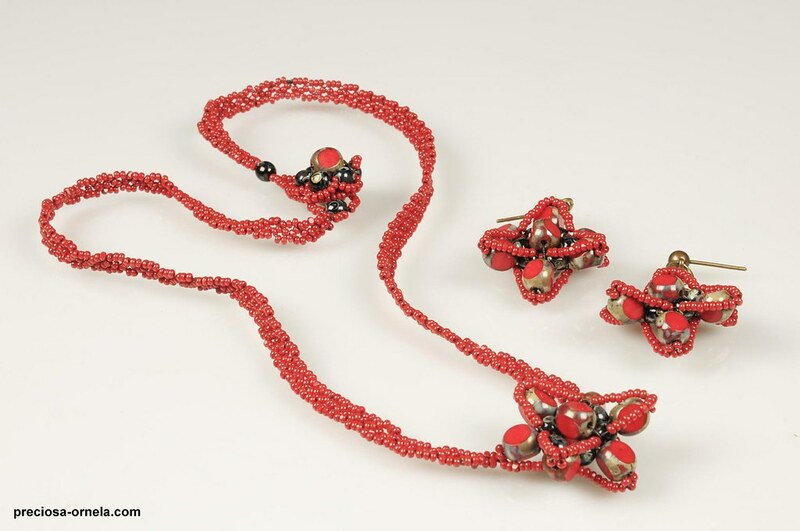 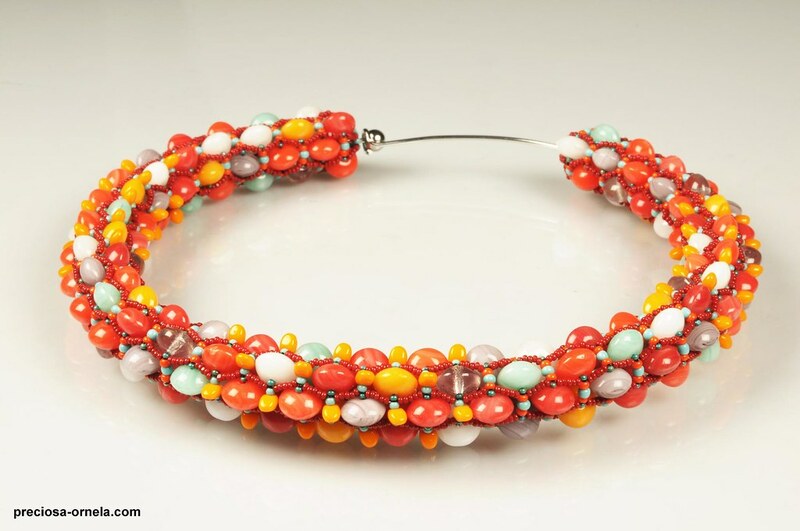 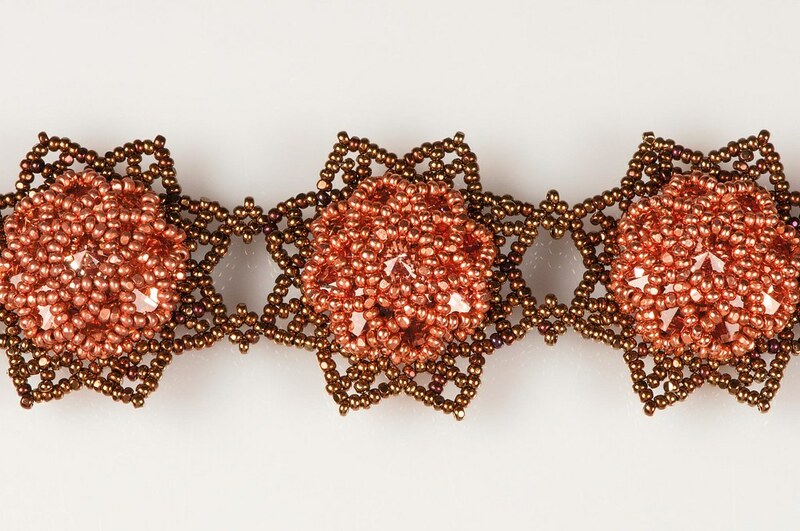 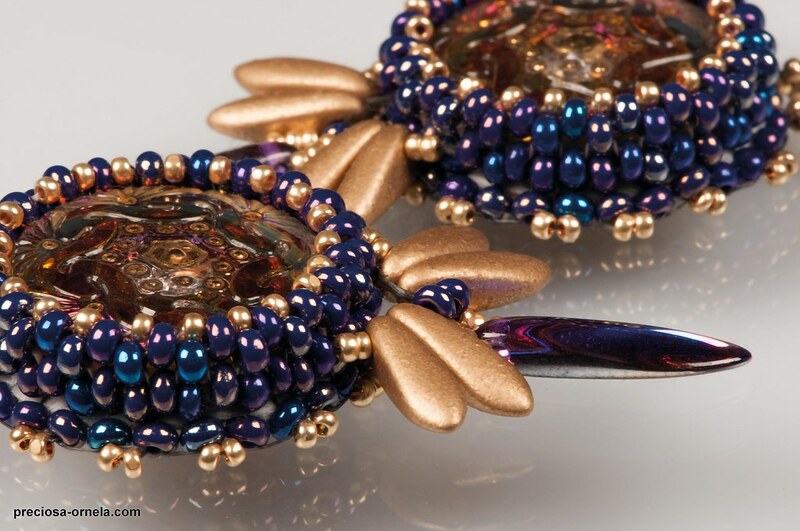 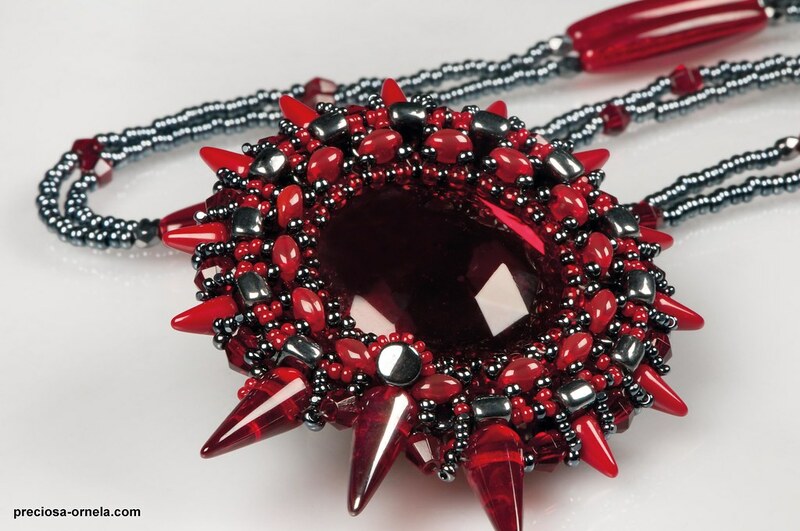 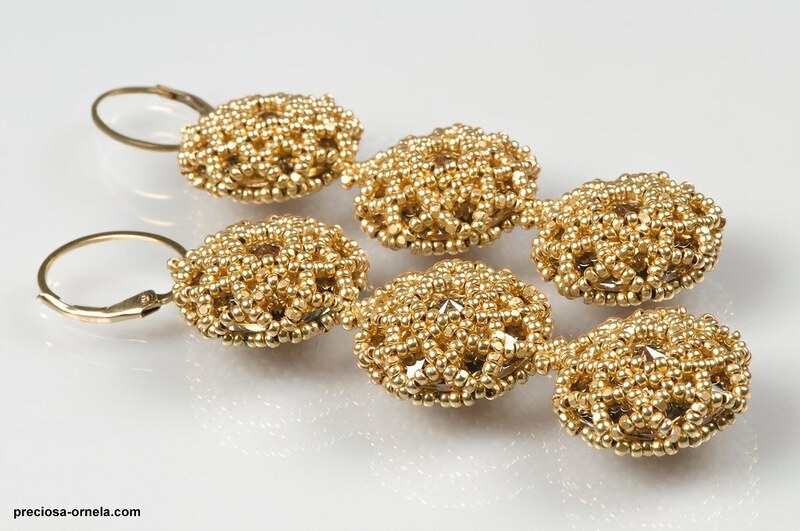 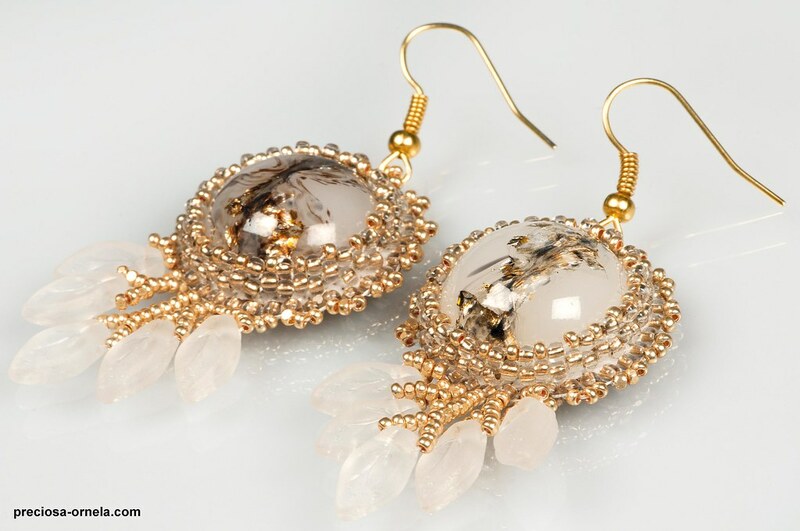 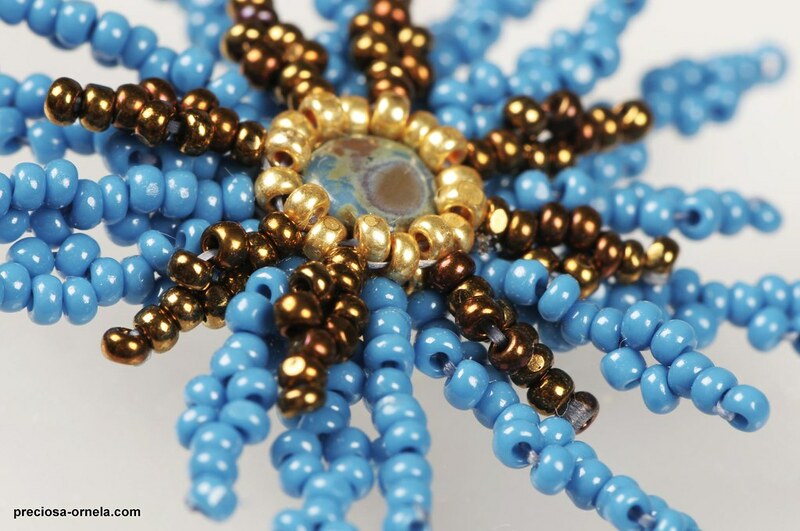 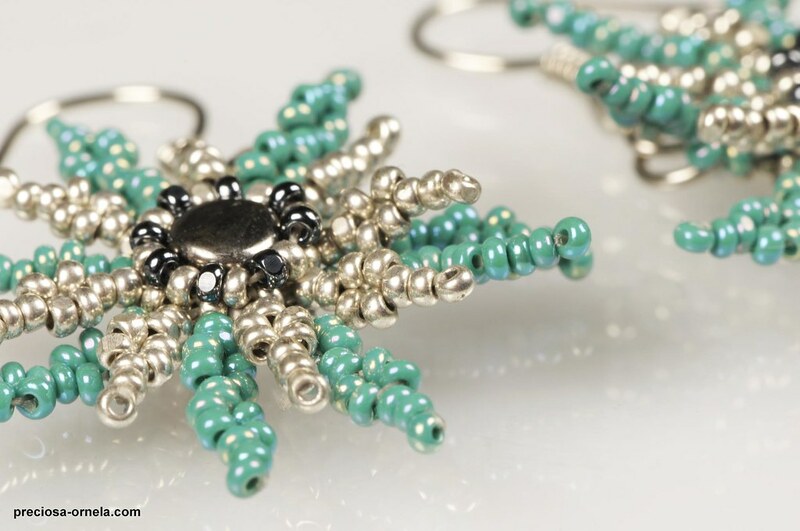 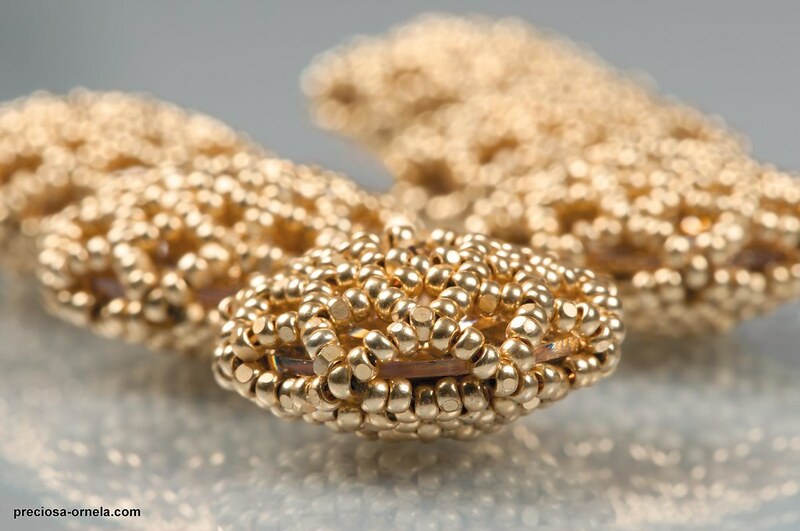 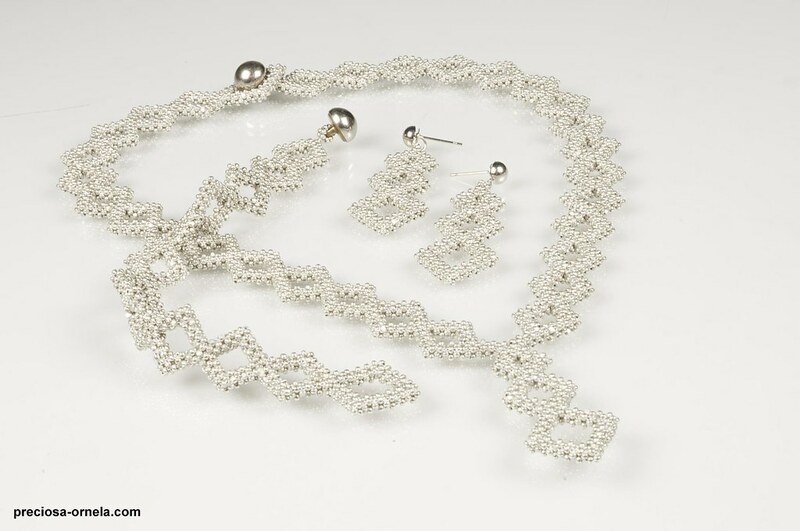 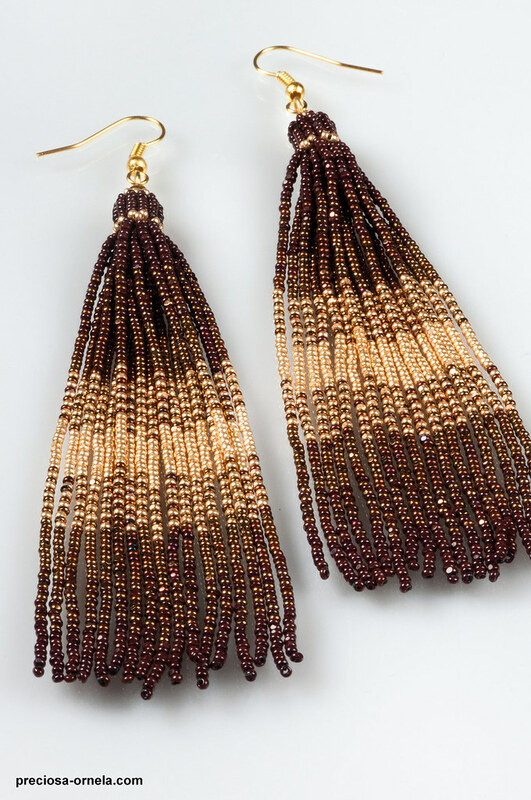 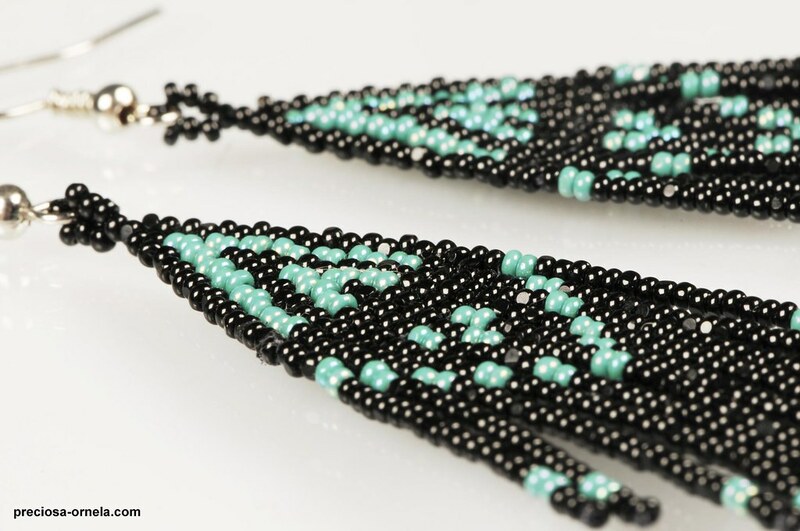 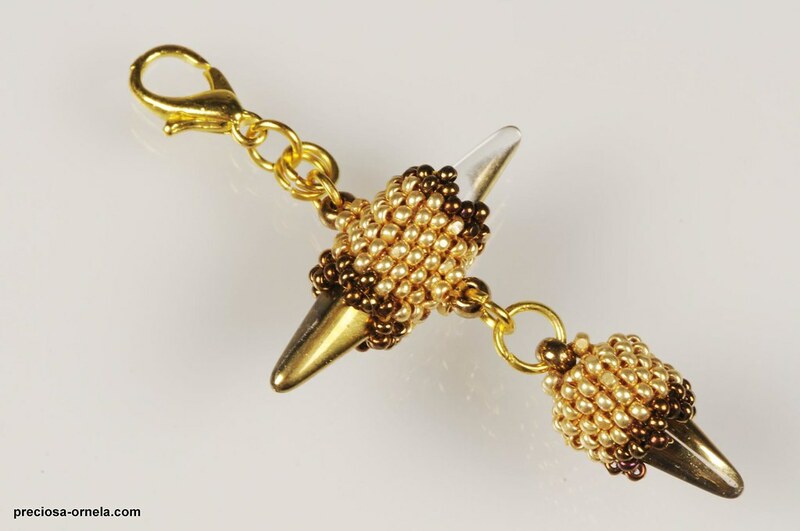 The group of cut seed beads with the PRECIOSA Traditional Czech Beads™ brand includes miniature cut seed beads called Charlottes (also called Charlotte Beads) on which 1-2 small facets are cut on a special cutting wheel. 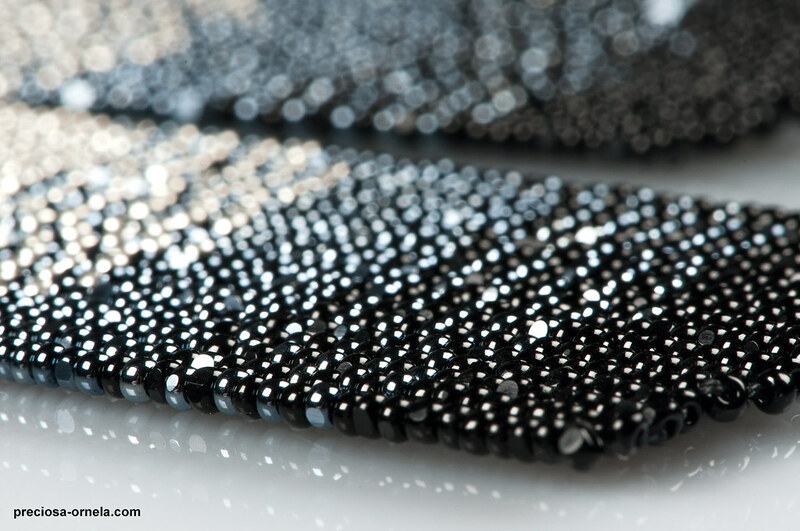 This makes the PRECIOSA Rocailles sparkle and it acquires exceptional optical properties in combination with some other surface finishes. 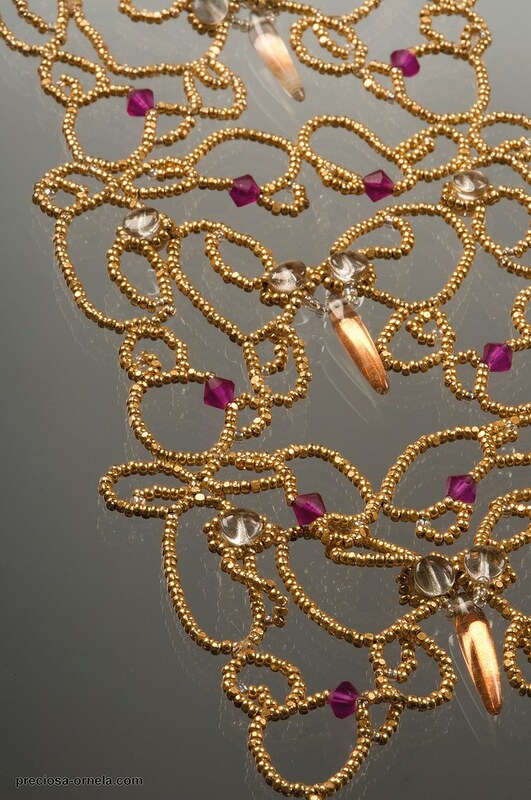 The reflections from the two cut surfaces contribute to the luxurious appearance of this relatively simple, but highly effective design. 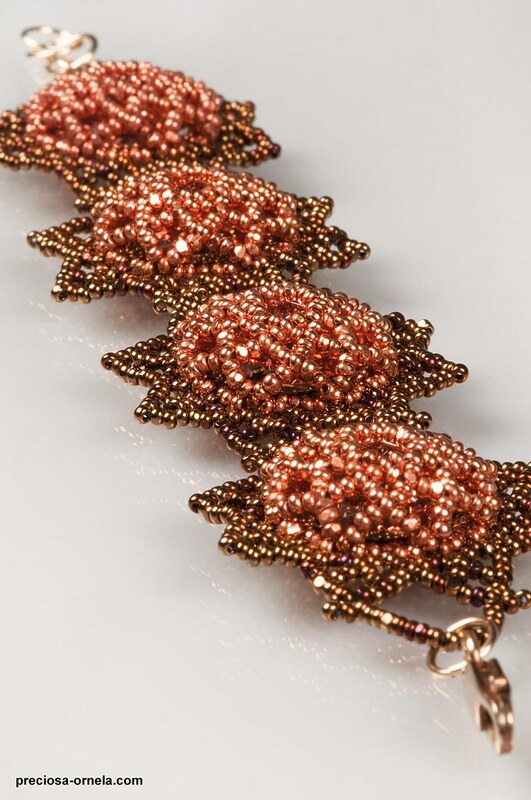 The size of the Charlotte beads is 13/0. 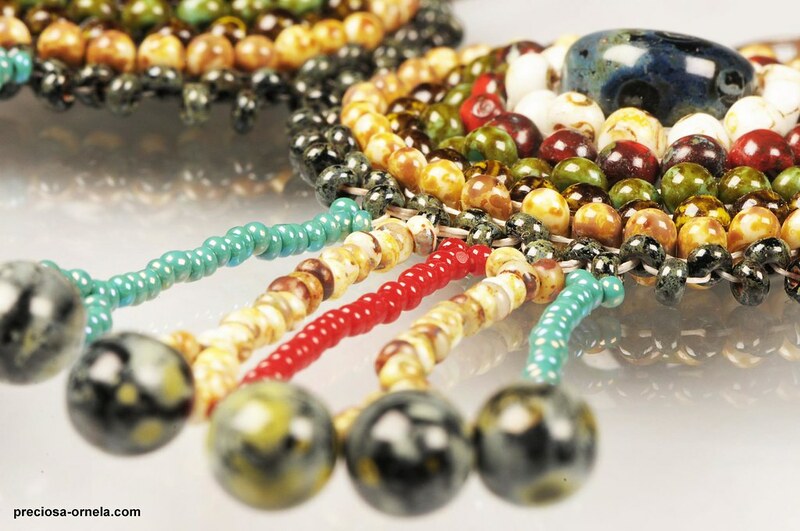 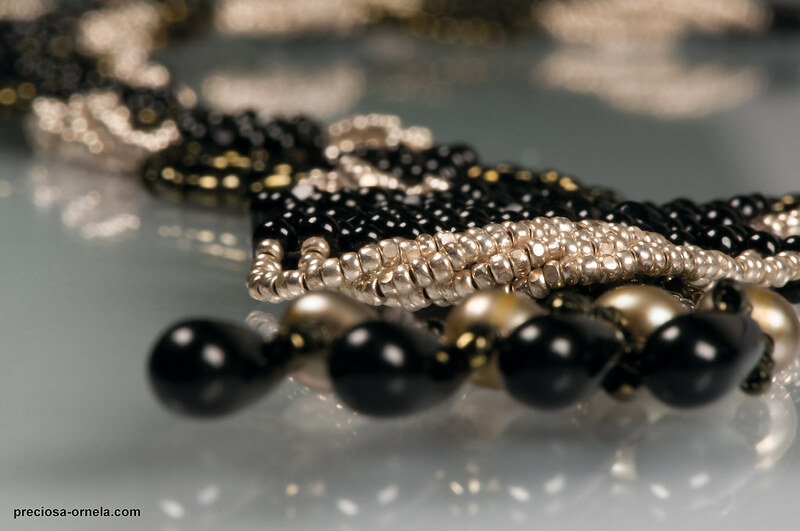 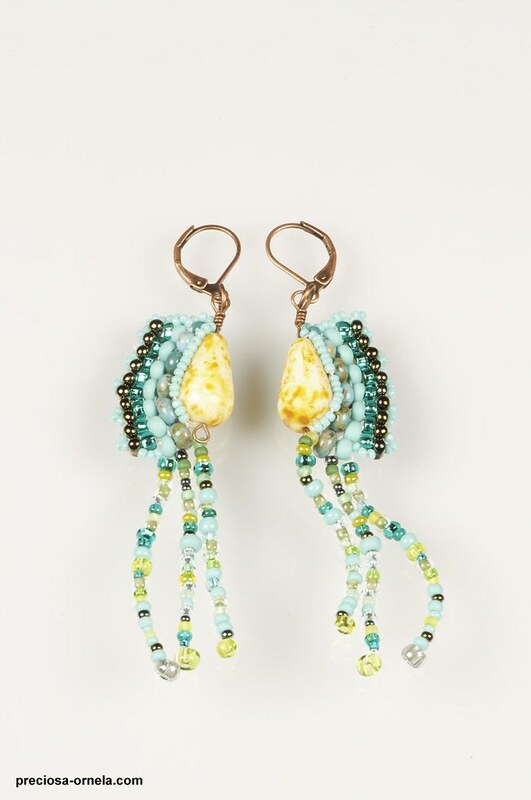 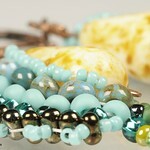 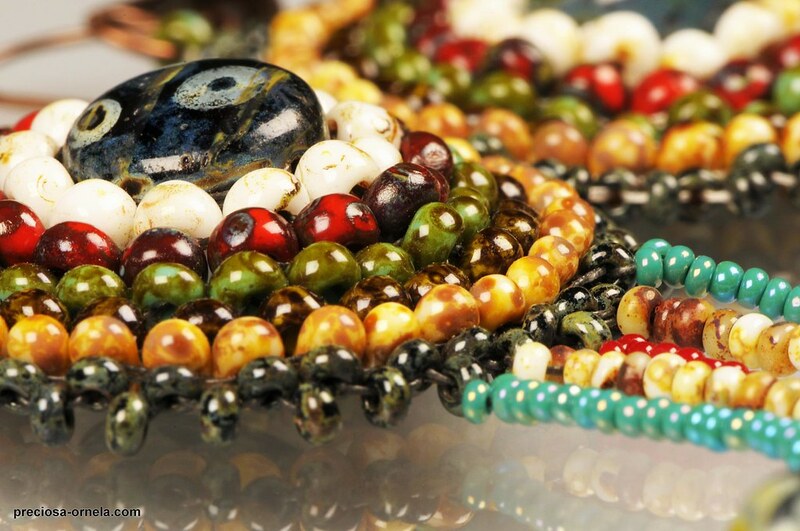 Beads are one of the oldest objects known to humankind. 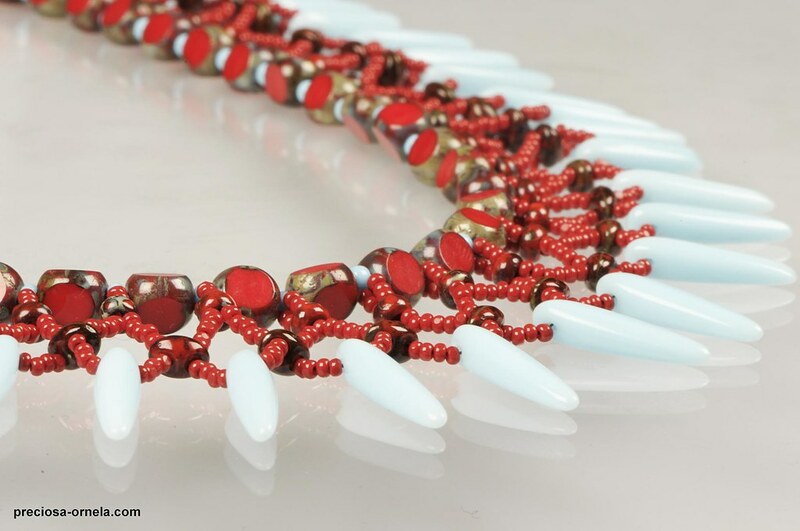 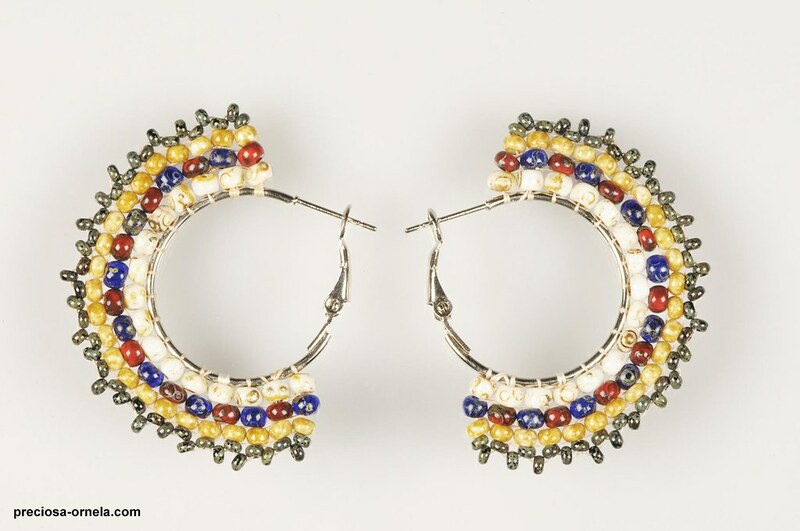 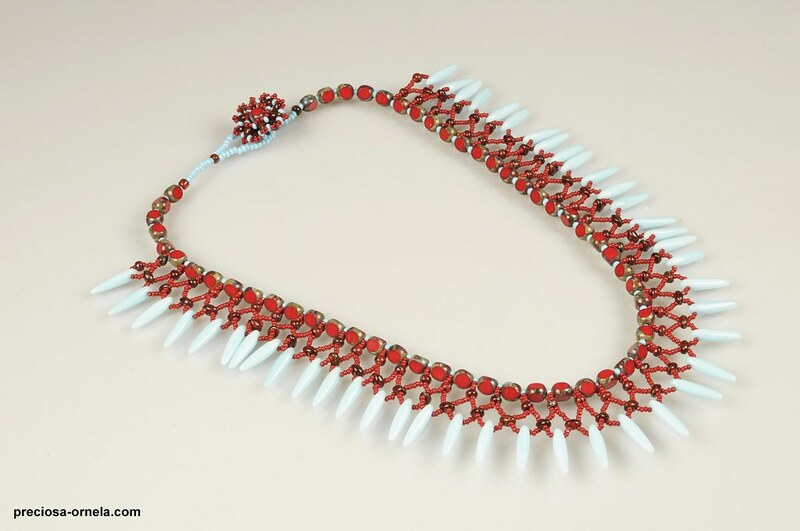 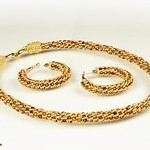 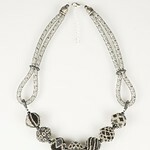 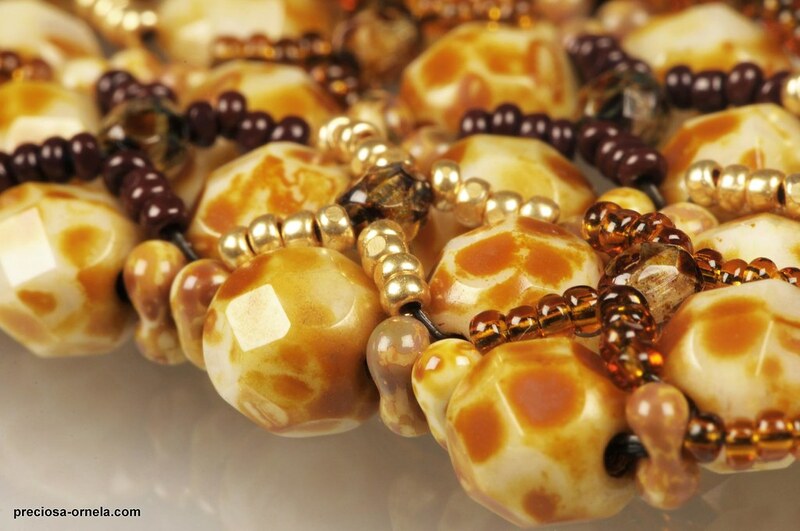 Excavations of ancient archeological sites reveal that beads were part of our ancestors' lives millennia ago. 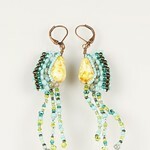 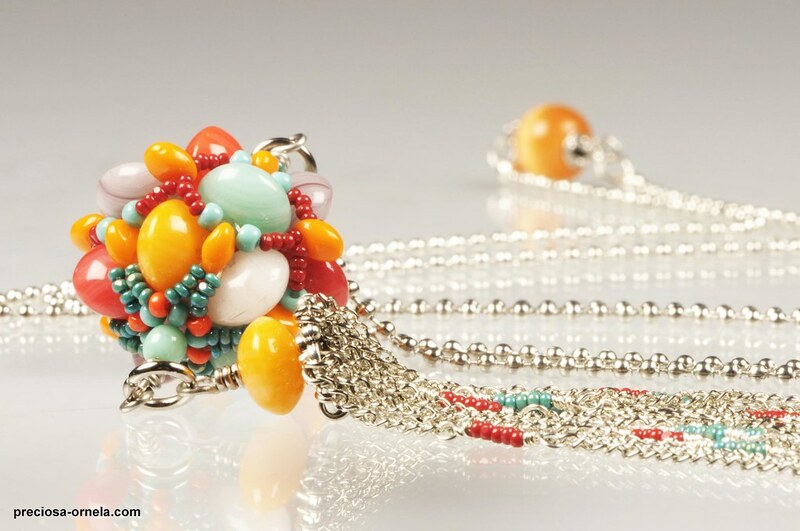 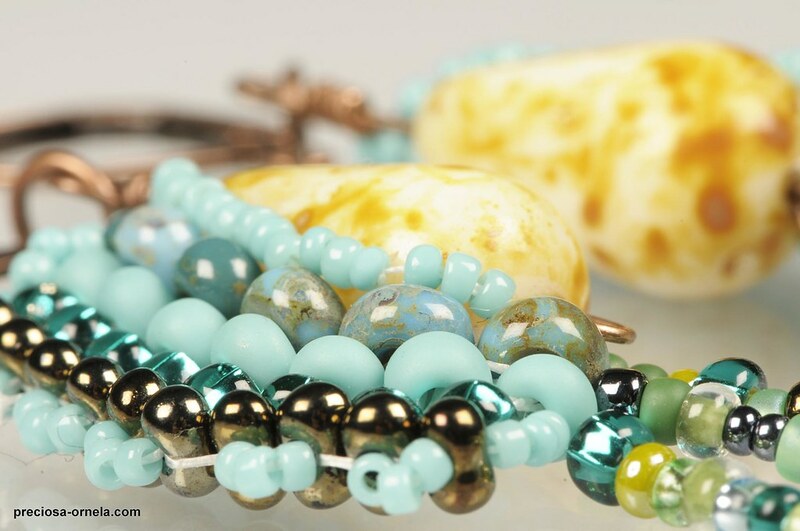 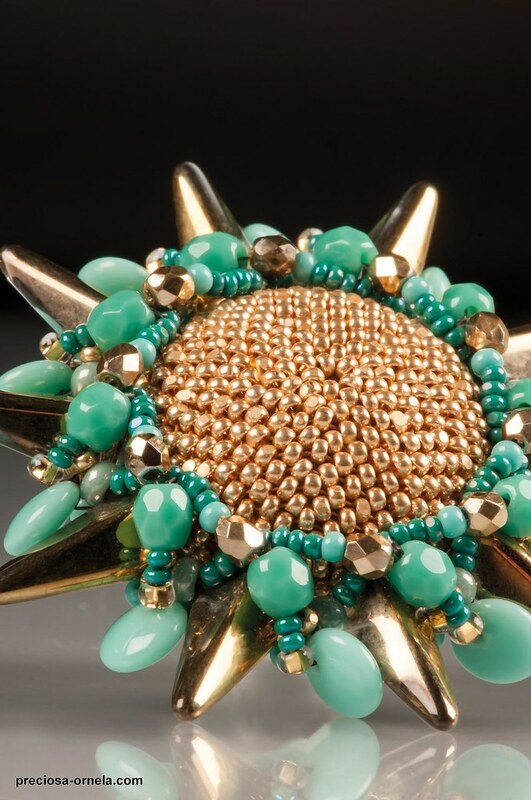 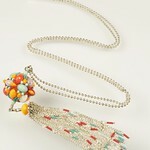 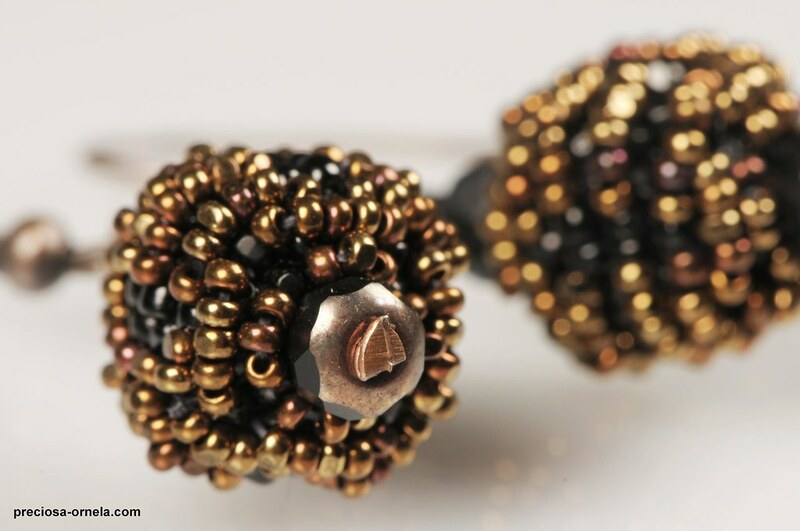 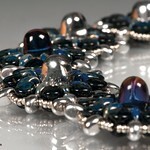 Throughout the ages, glass bead production, which originated in ancient Egypt, migrated to Venice and Murano. 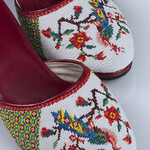 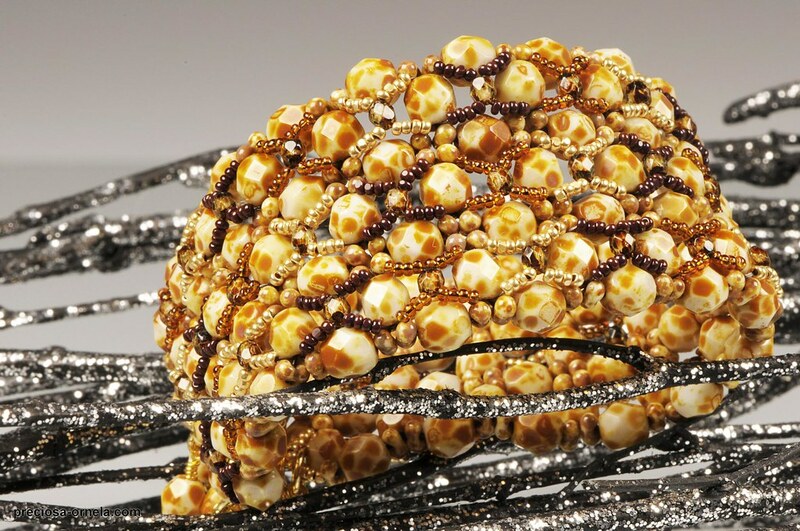 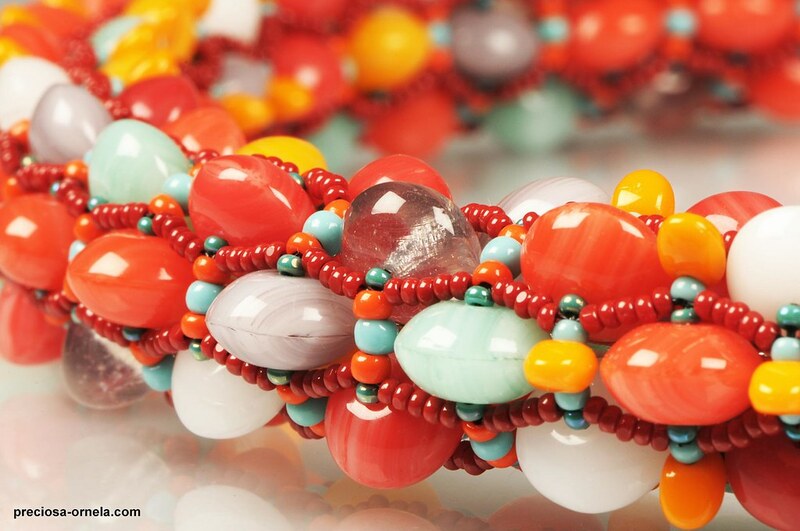 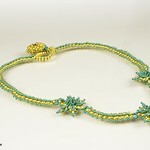 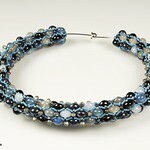 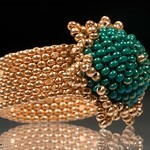 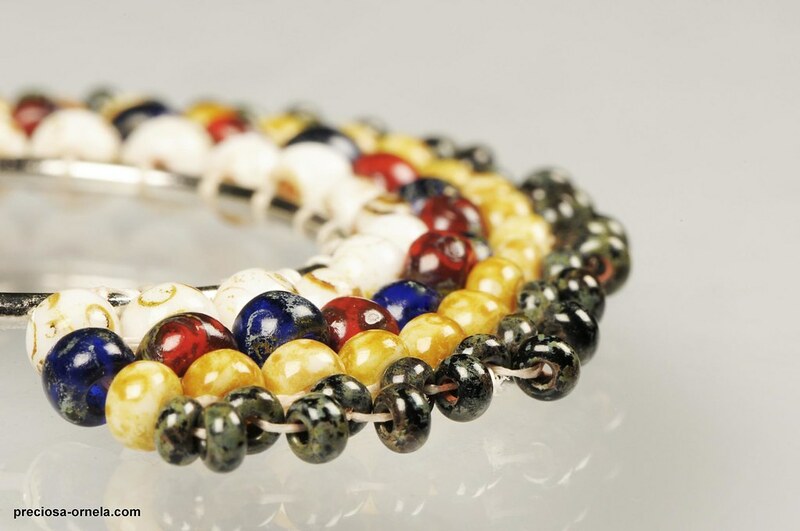 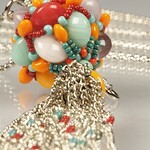 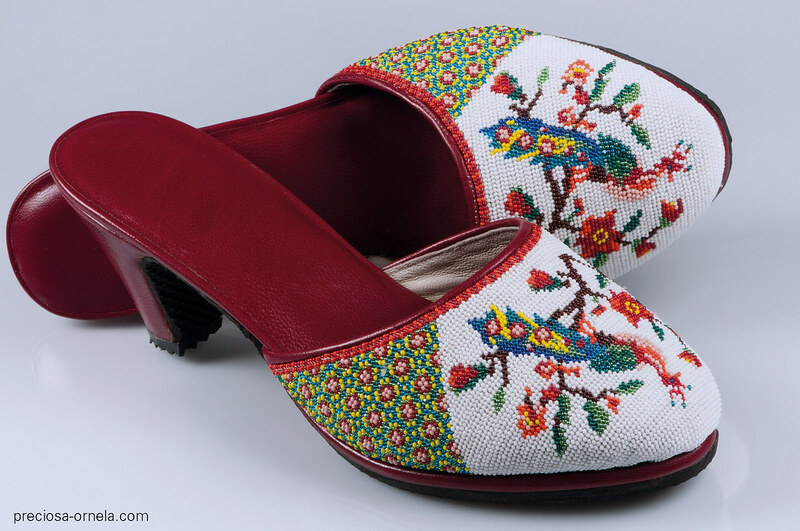 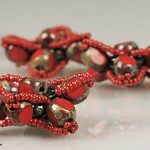 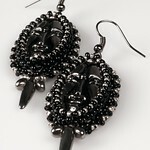 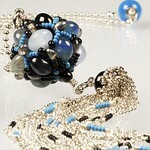 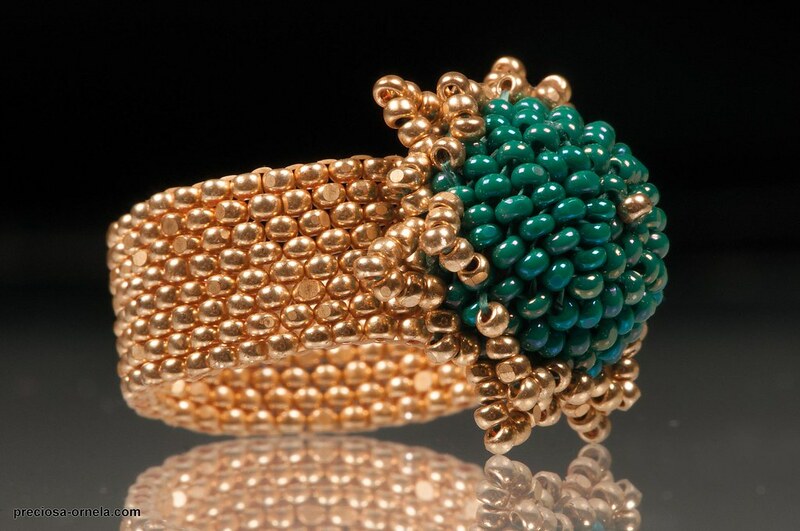 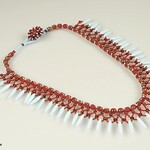 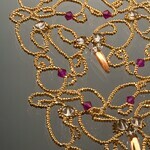 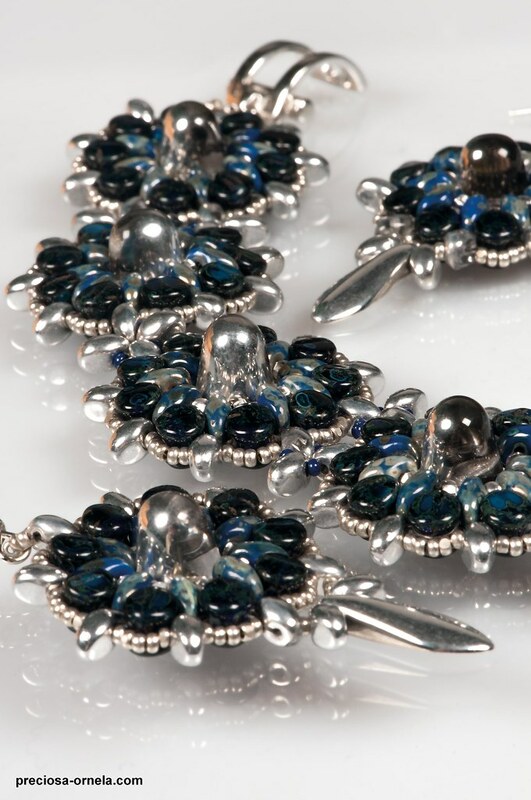 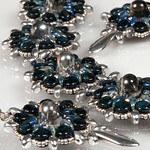 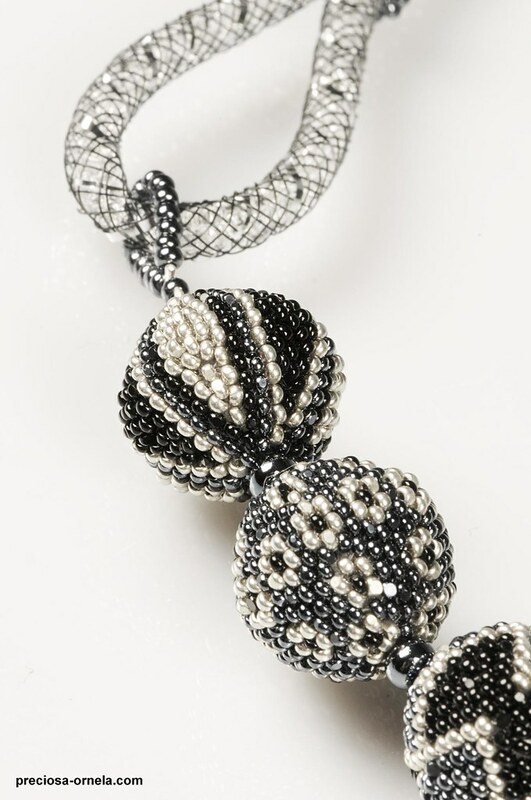 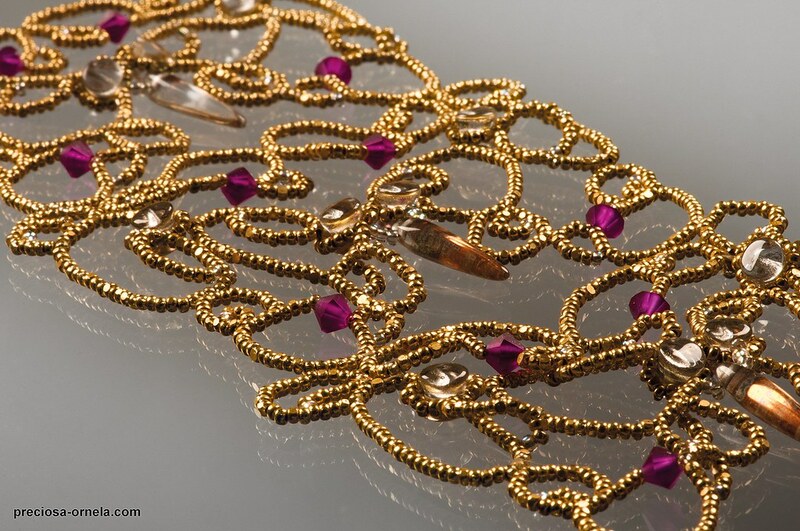 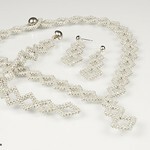 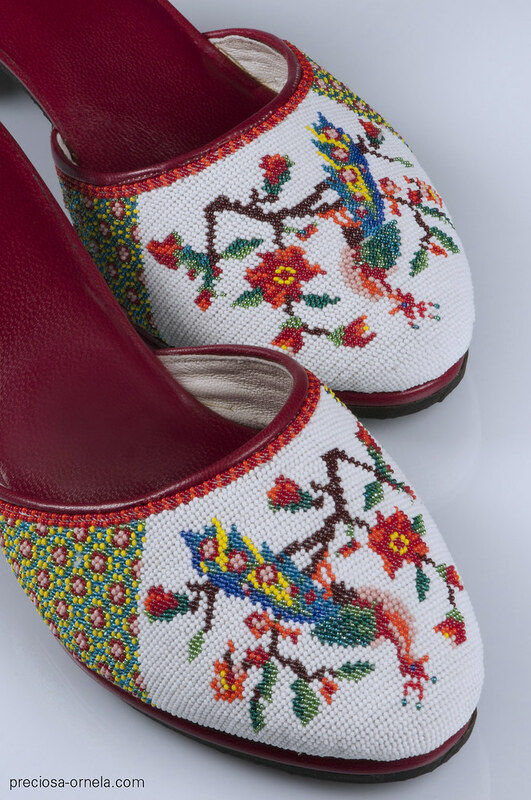 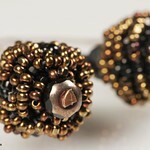 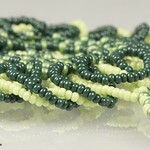 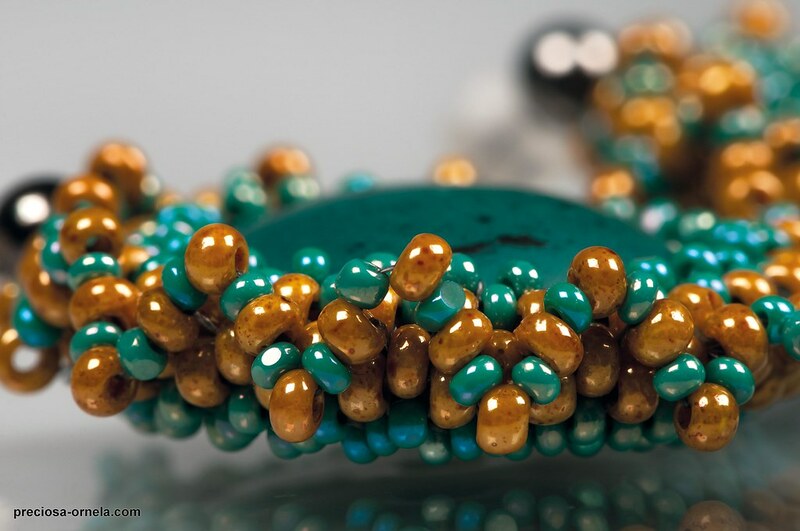 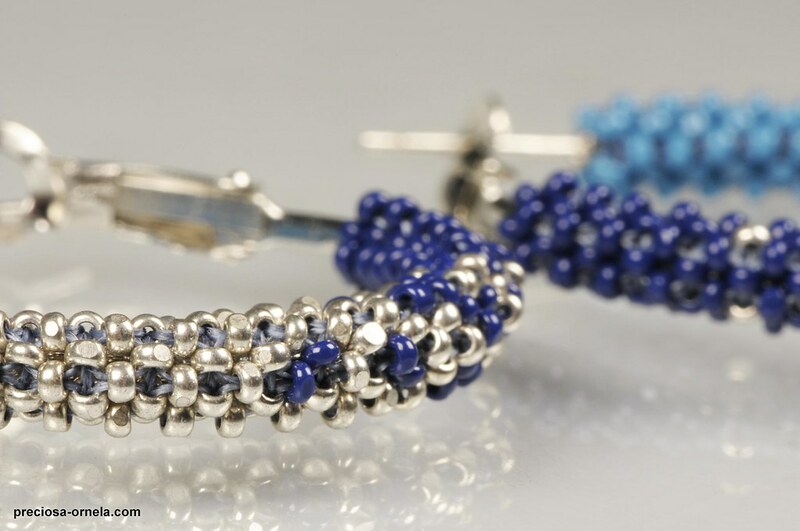 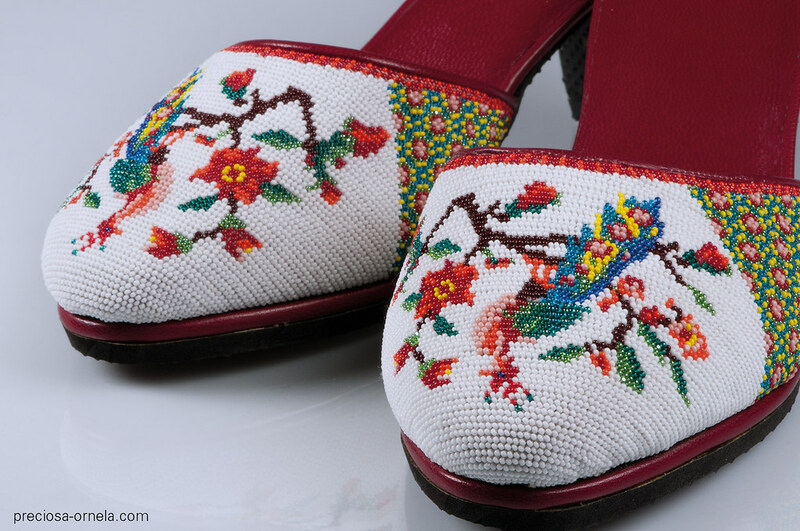 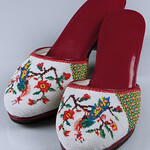 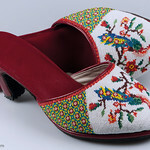 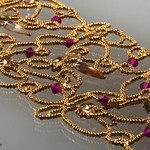 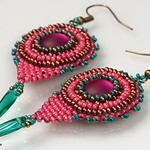 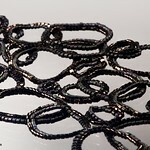 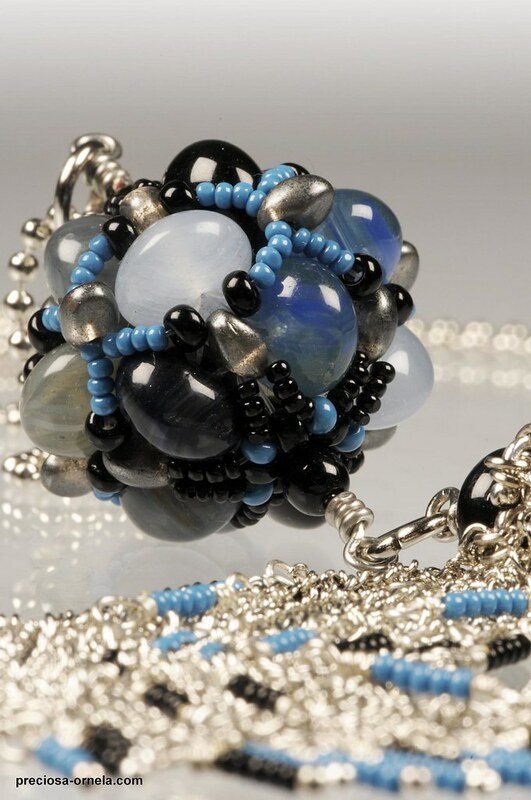 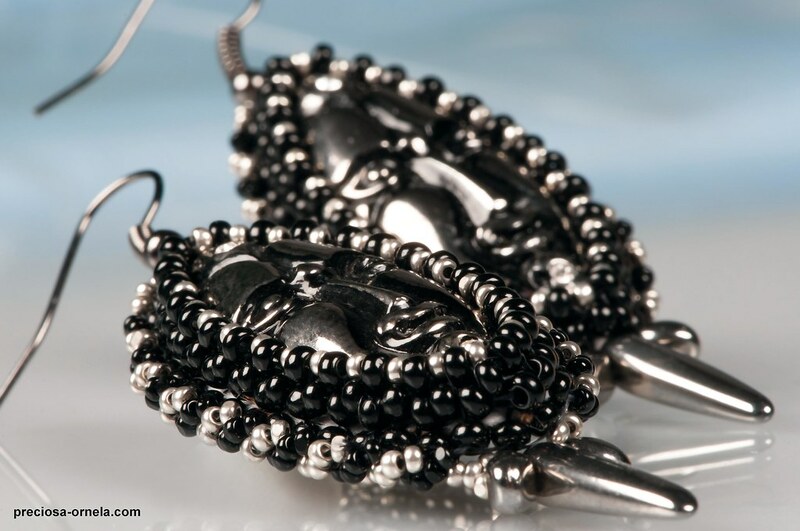 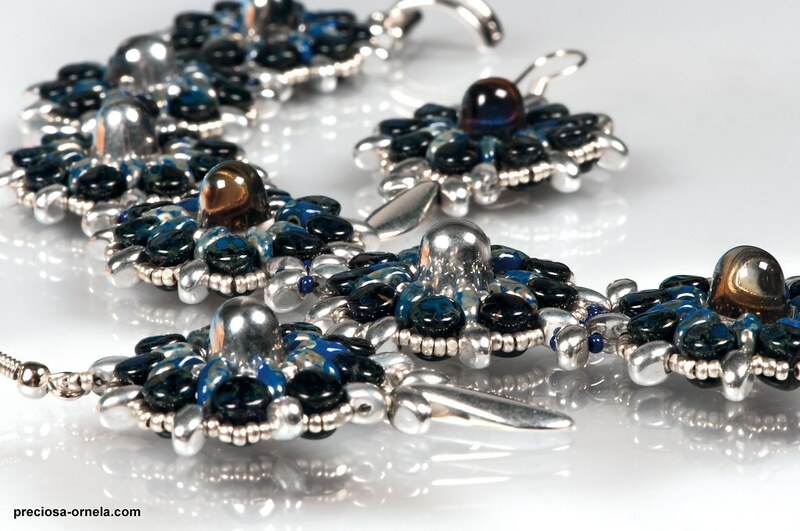 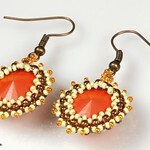 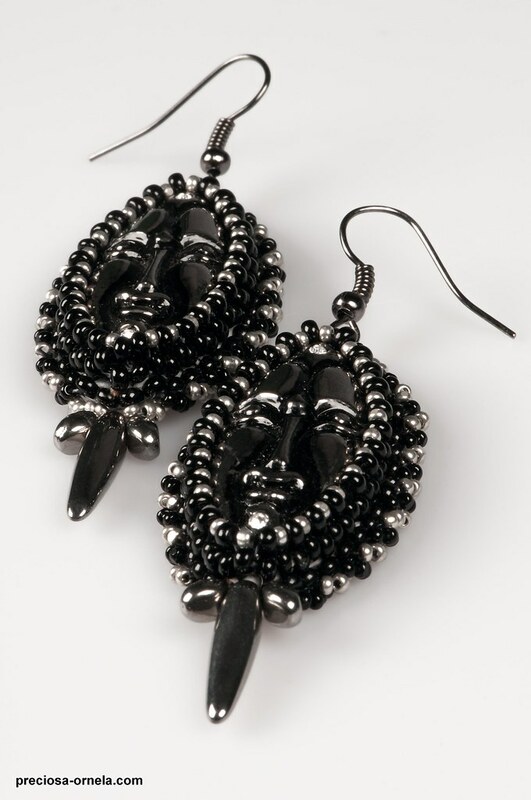 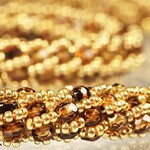 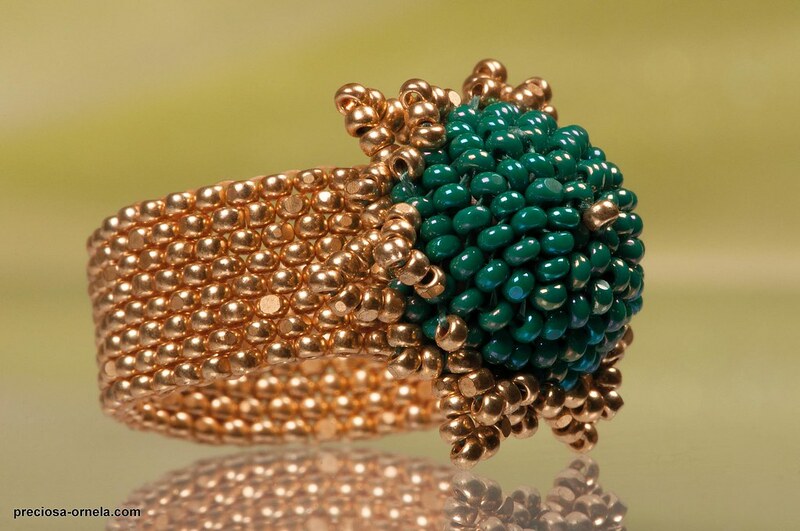 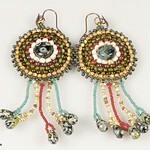 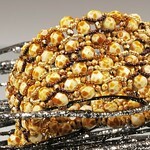 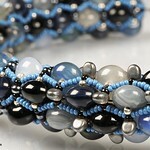 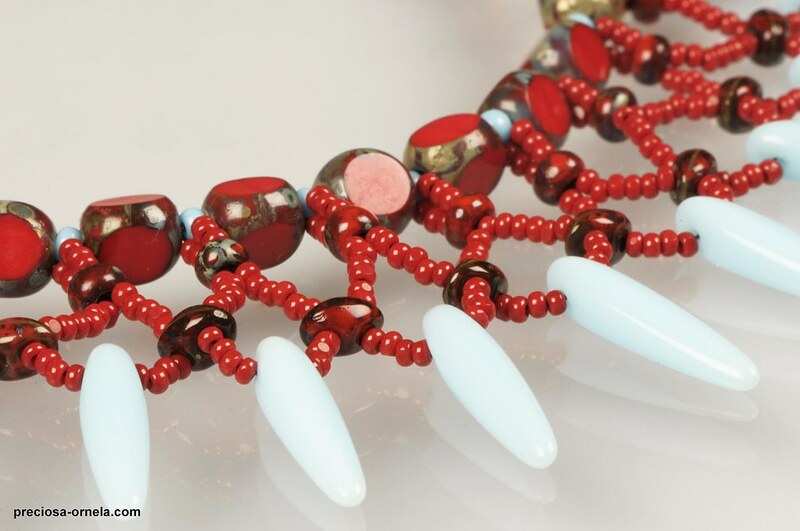 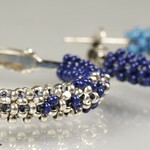 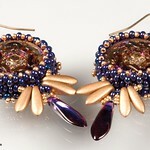 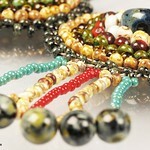 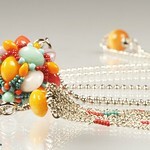 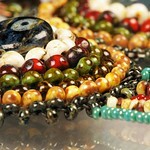 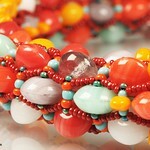 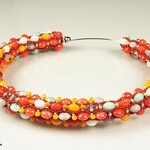 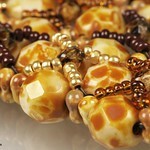 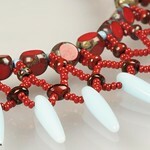 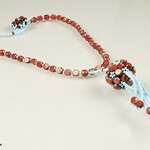 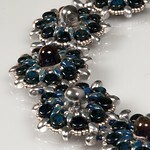 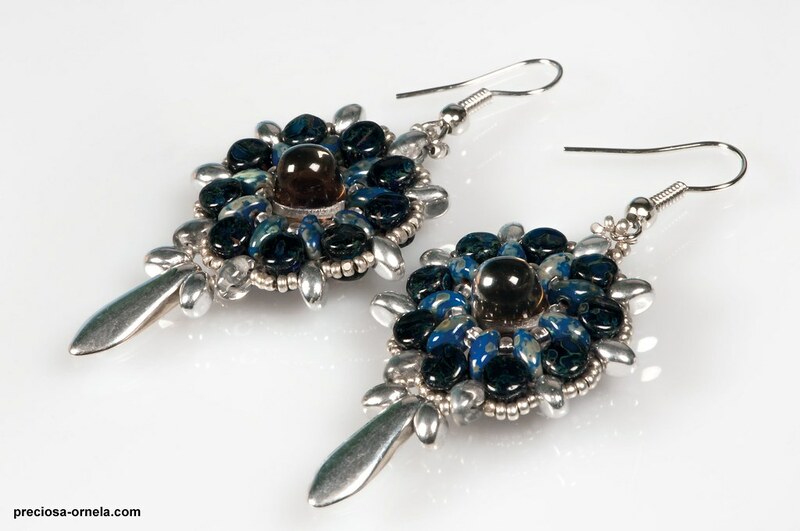 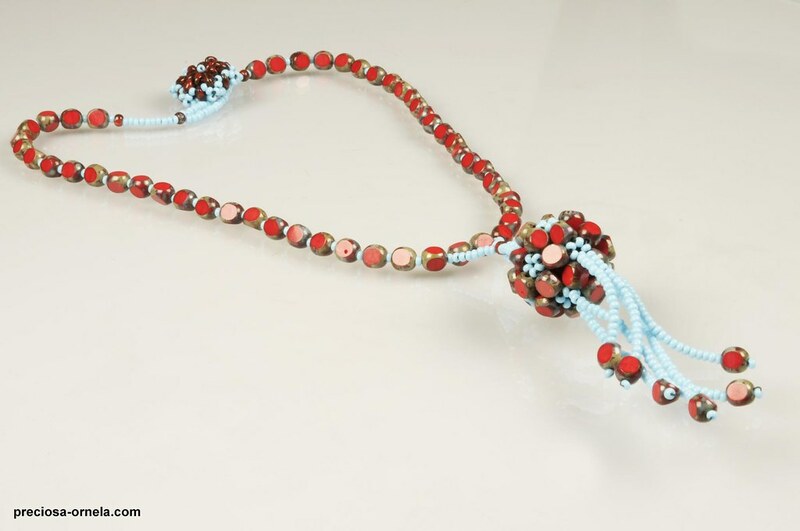 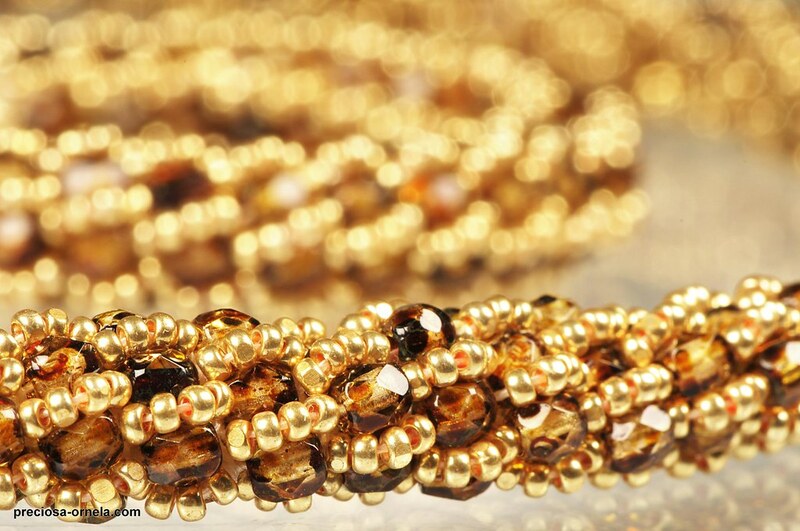 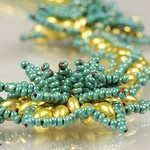 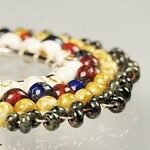 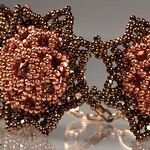 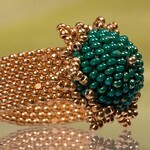 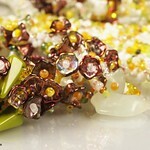 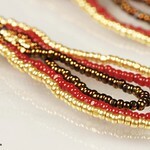 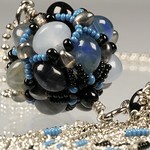 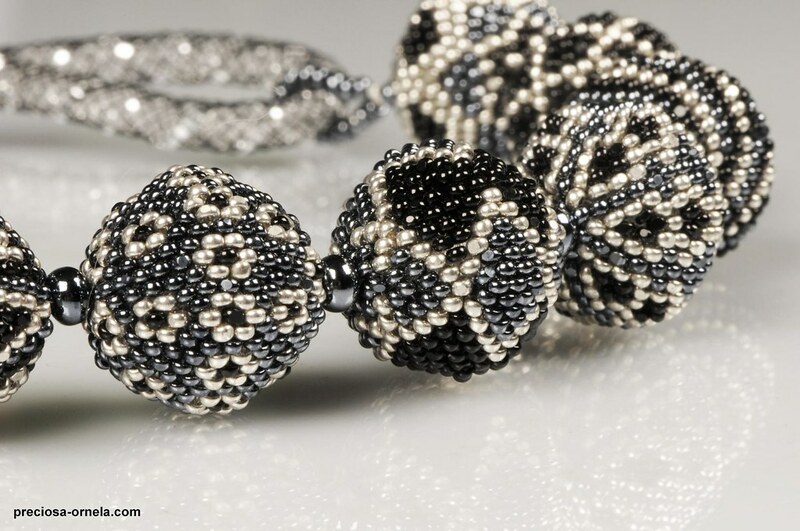 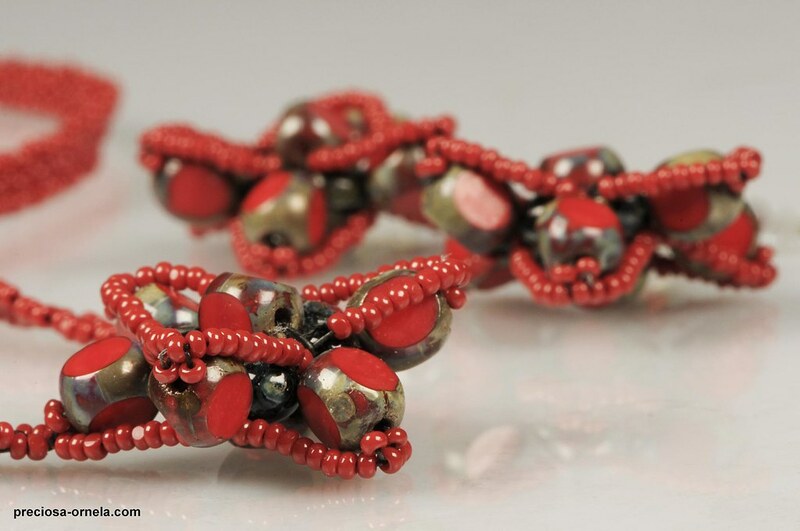 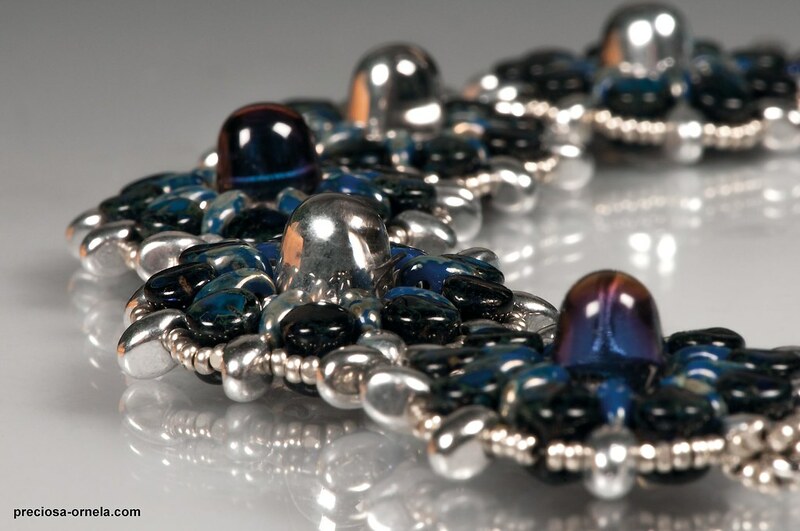 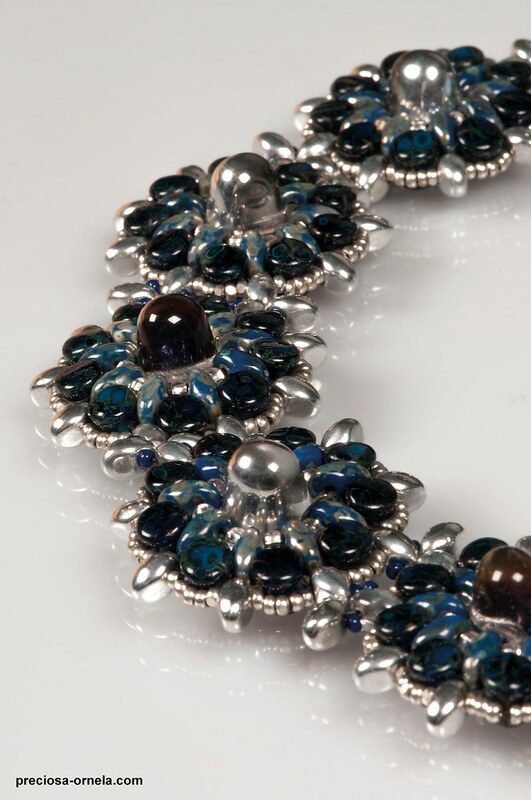 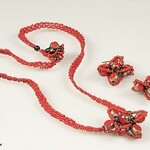 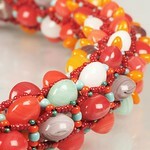 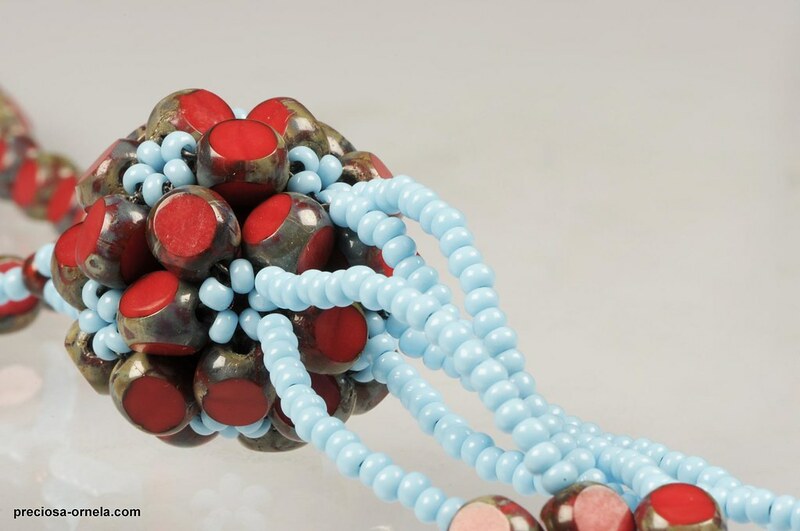 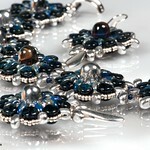 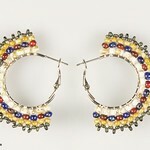 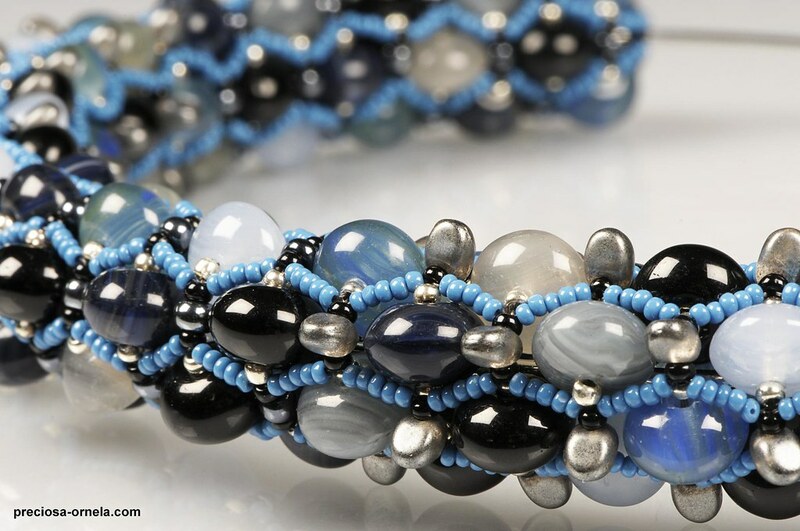 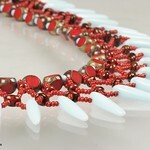 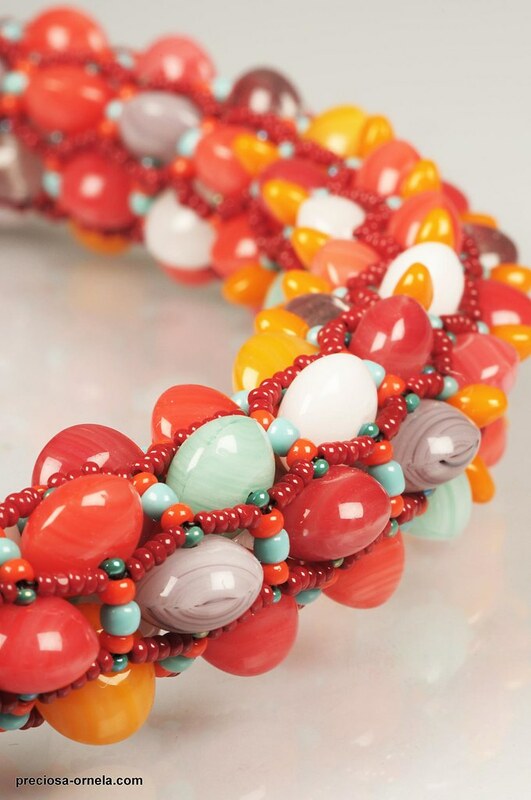 Then, about 300 years ago, bead production moved yet again to whatis today the Czech Republic. 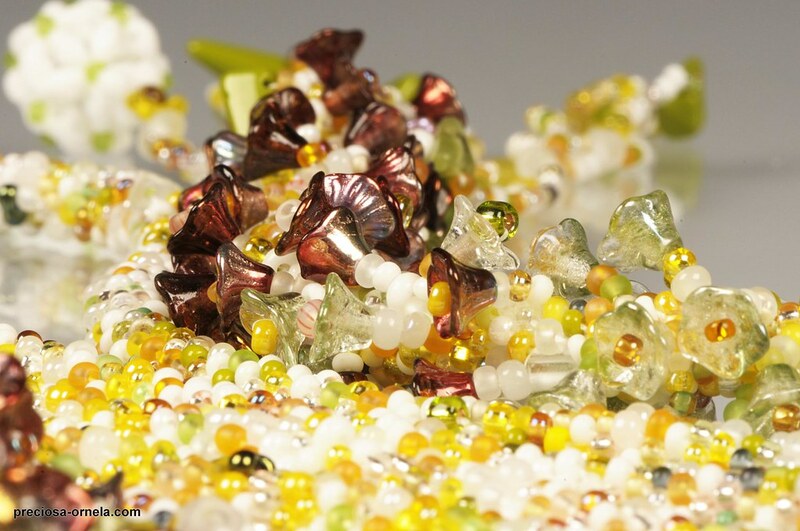 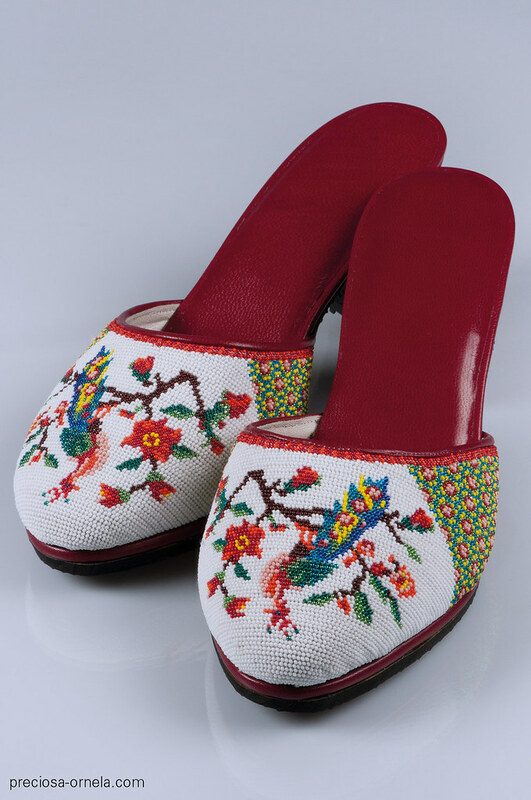 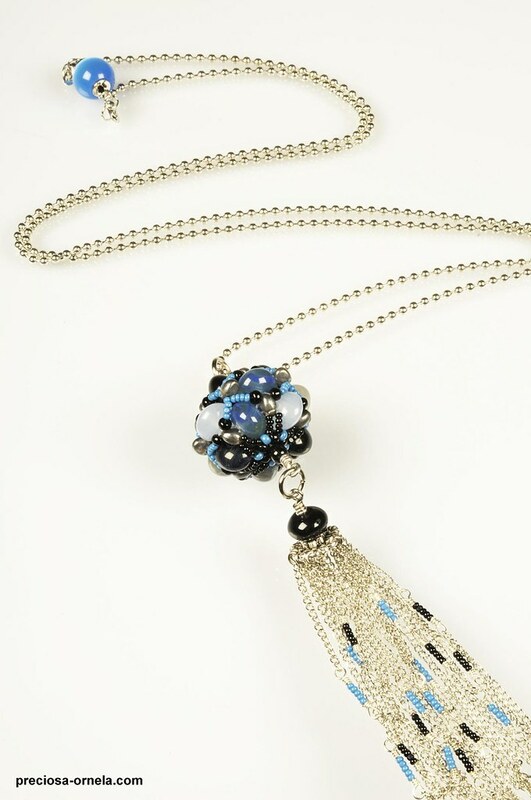 Local craftsmen have gradually perfected the production process and since the beginning of the last century have achieved world-class quality glass beads. 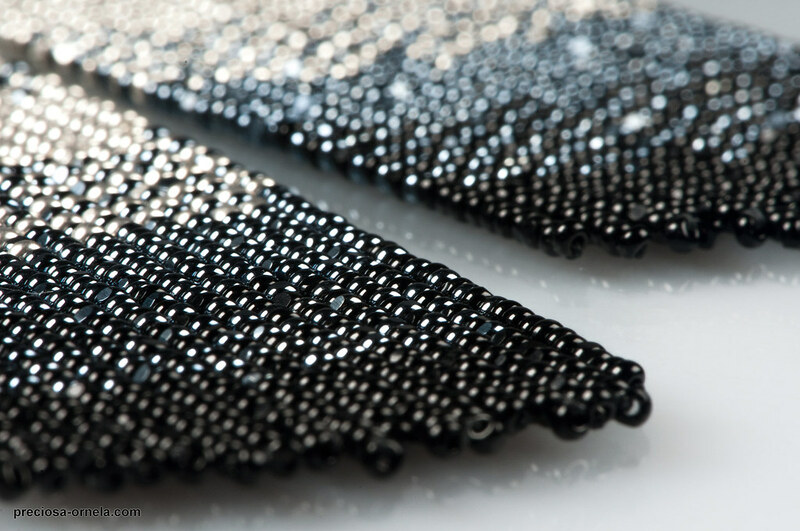 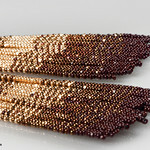 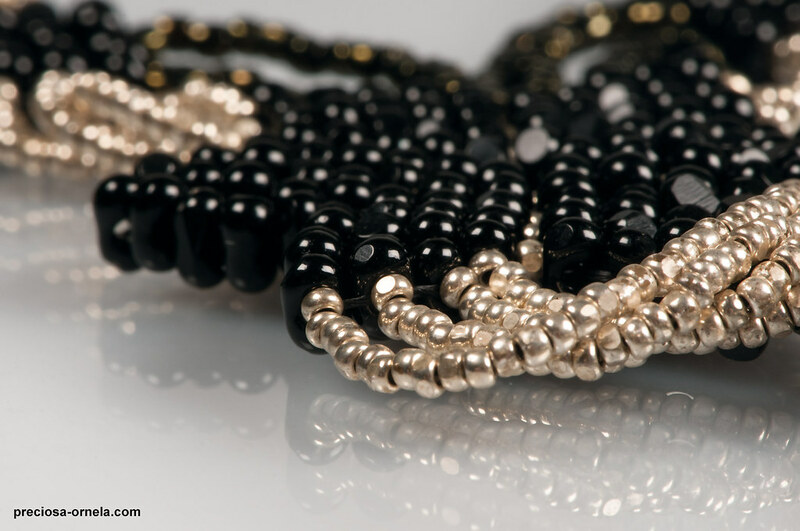 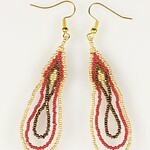 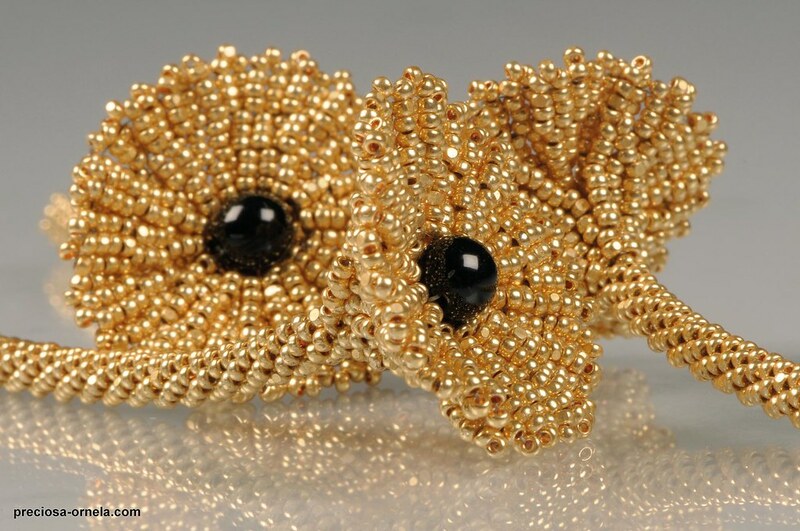 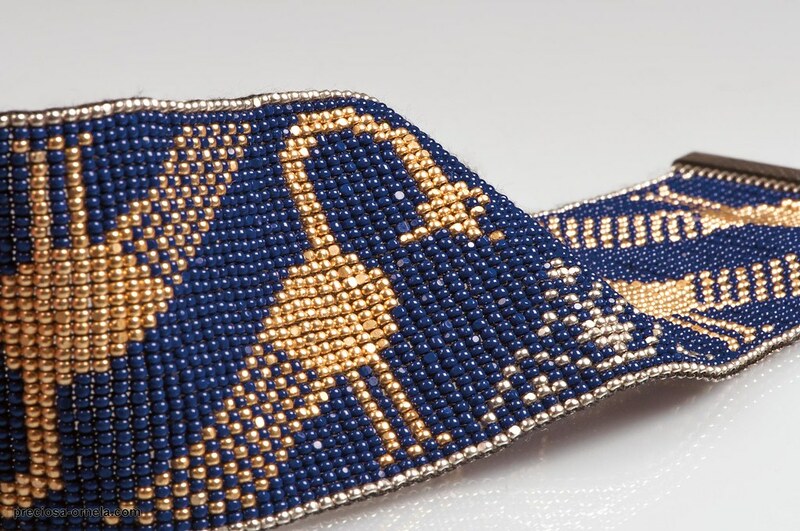 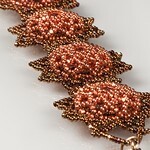 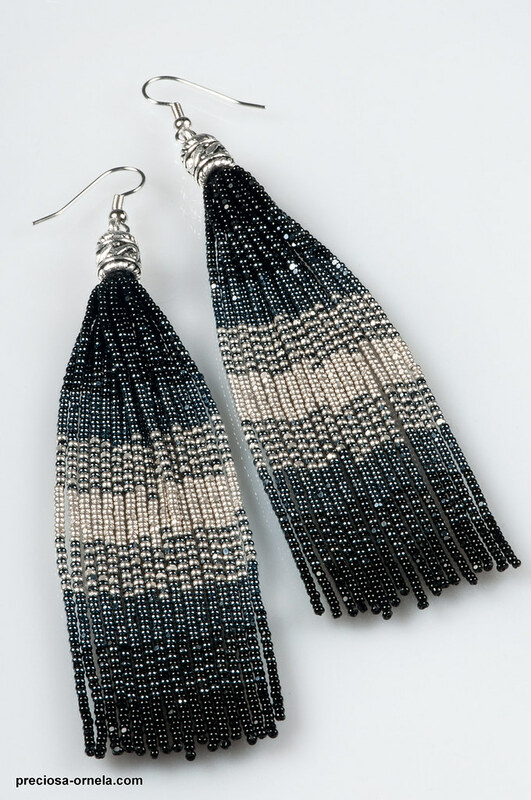 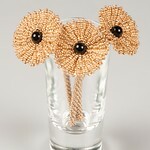 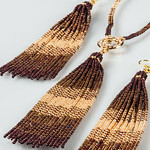 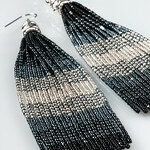 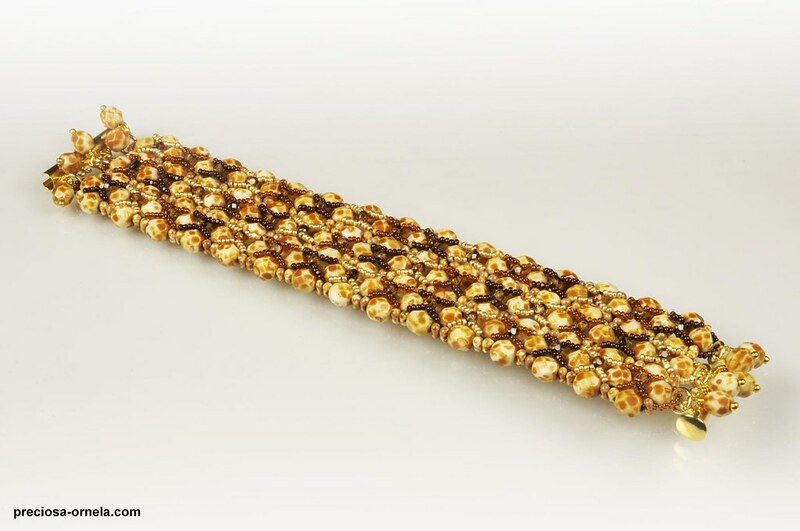 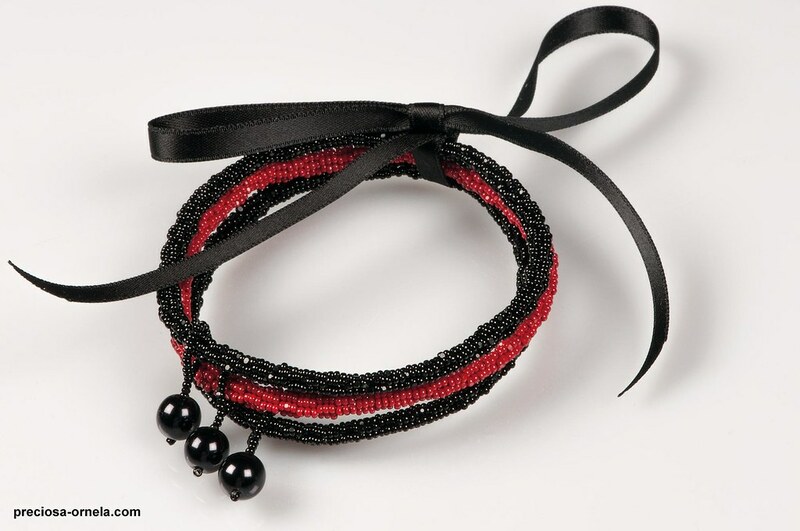 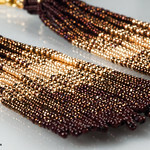 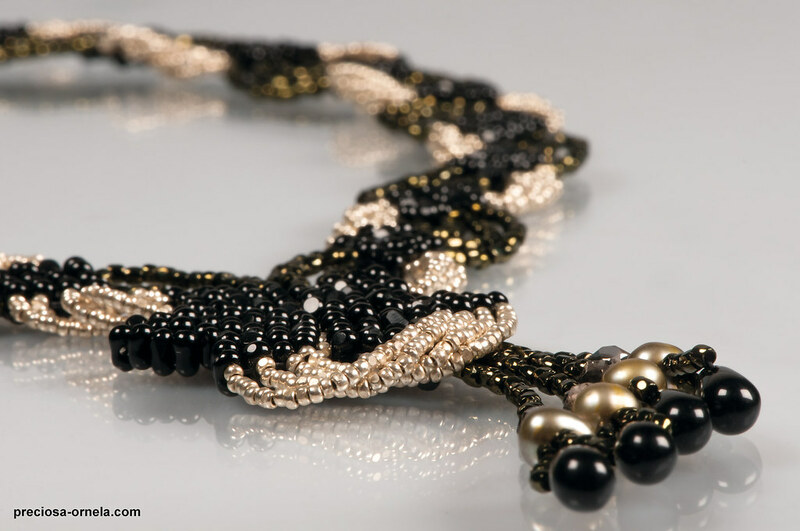 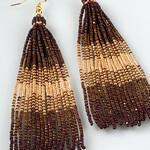 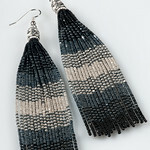 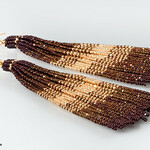 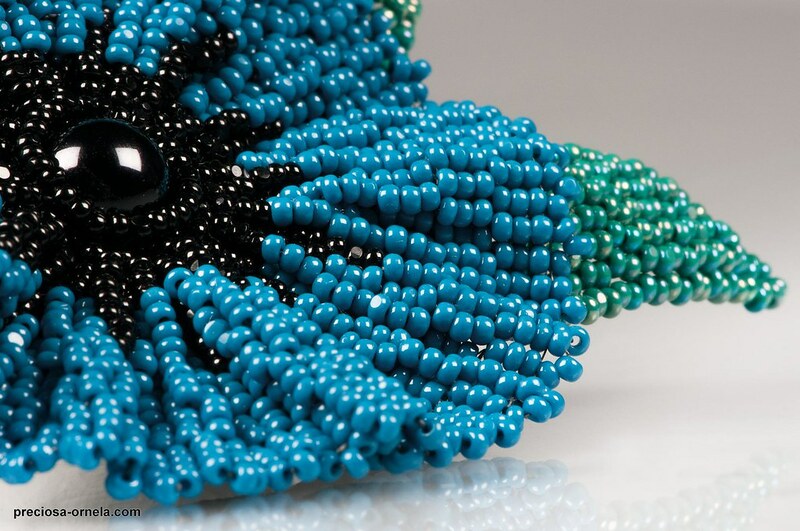 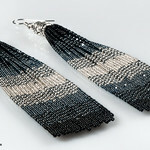 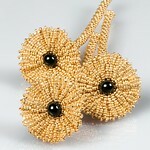 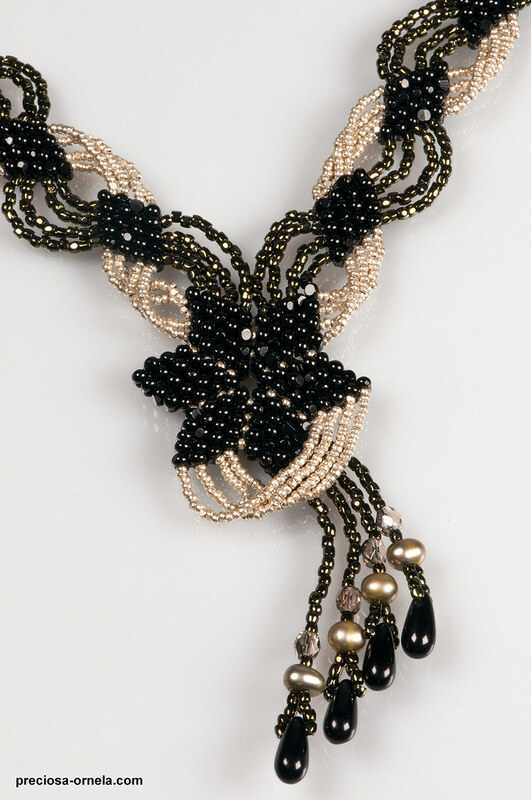 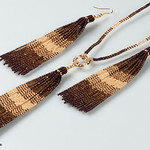 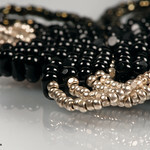 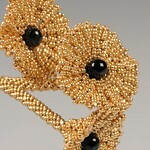 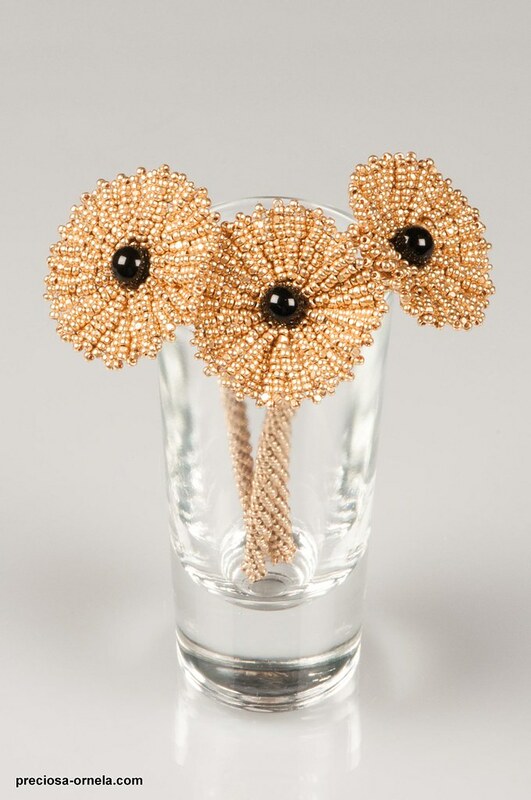 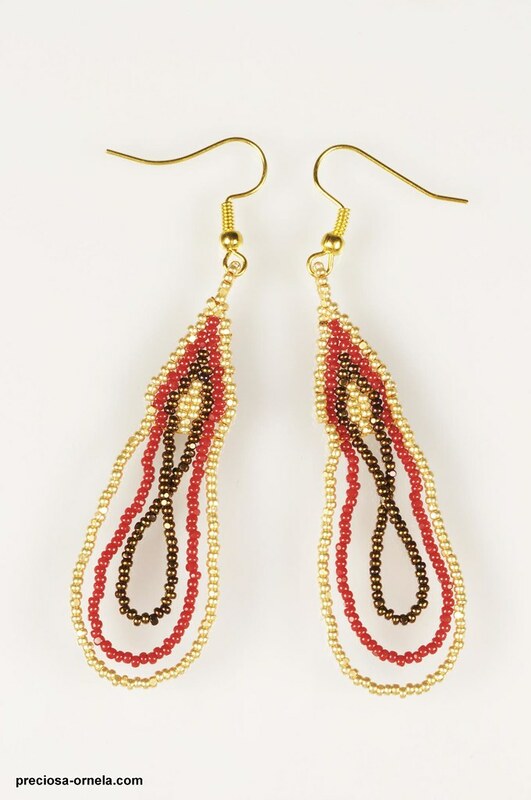 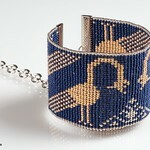 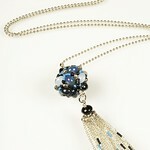 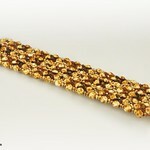 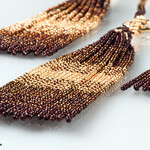 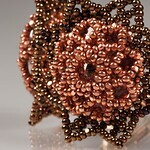 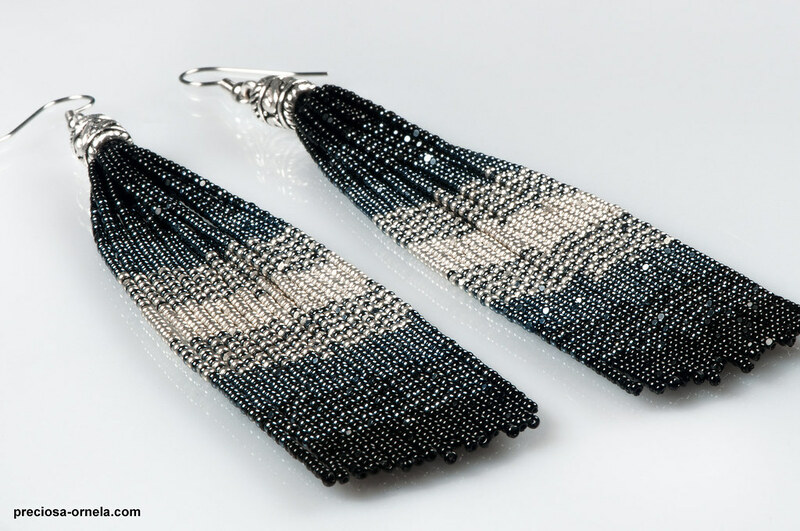 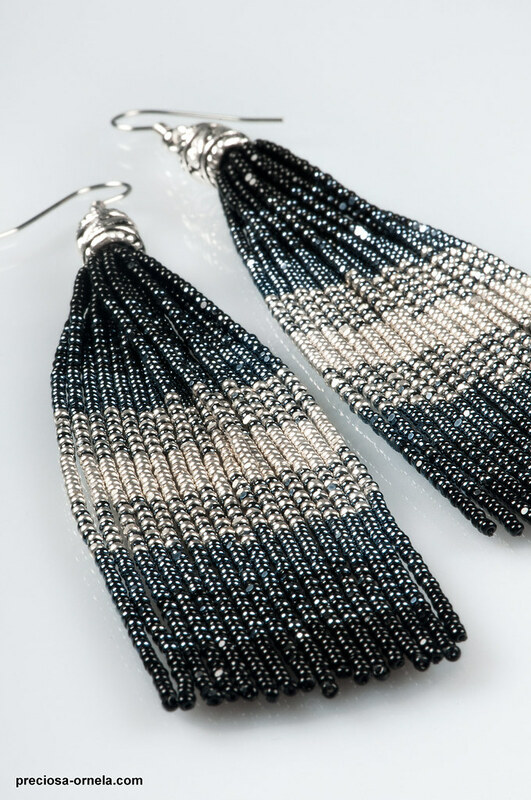 Today, this historical achievement is reflected in the unparalleled quality and durability of Czech seed beads. 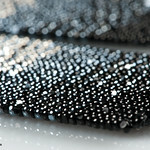 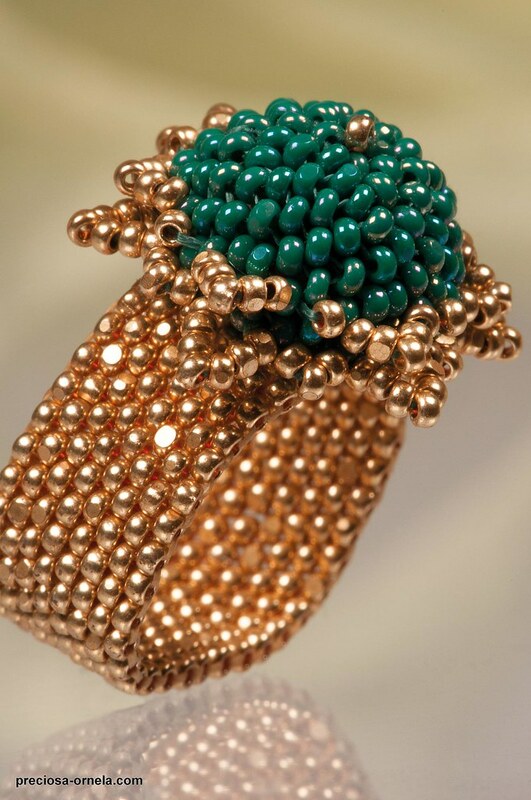 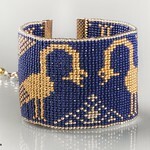 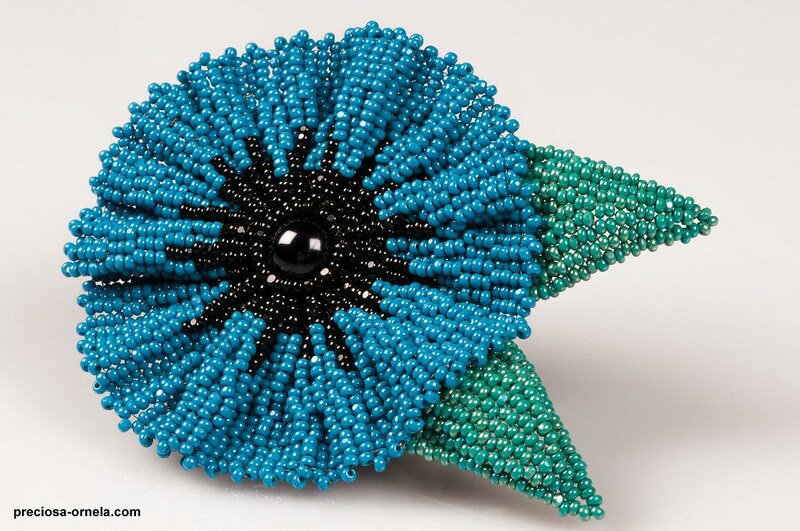 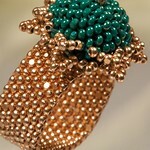 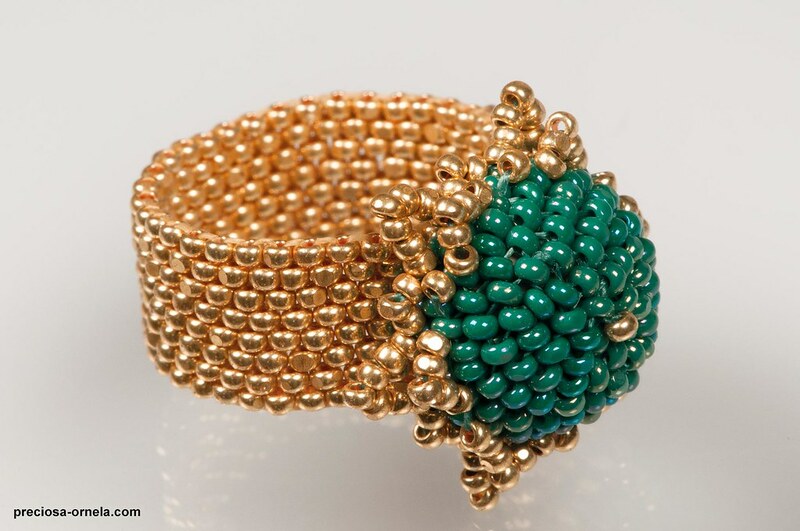 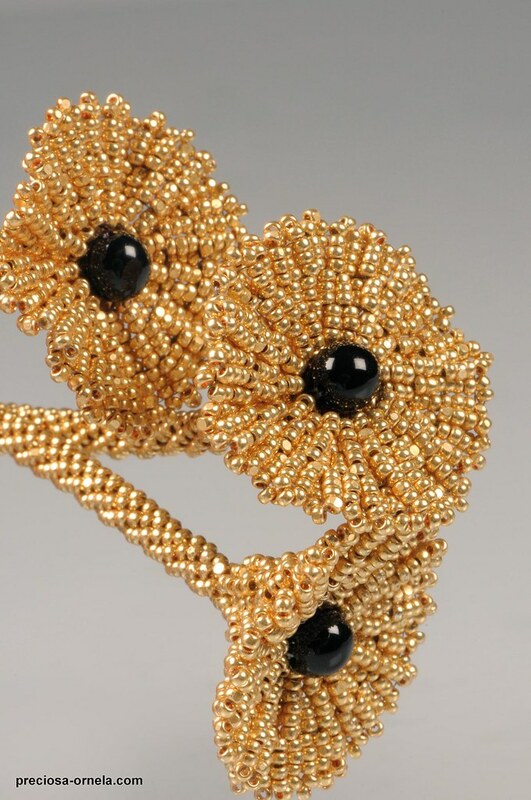 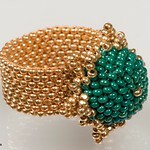 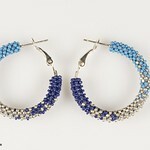 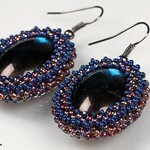 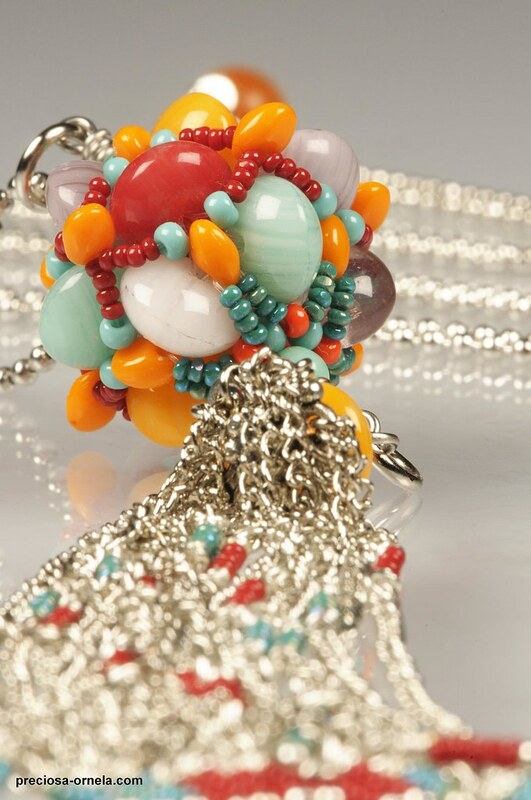 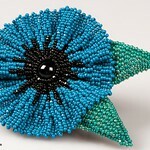 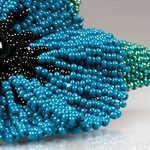 In a recent study seed beads from various countries were subjected to a systematic and rigorous quality testing. 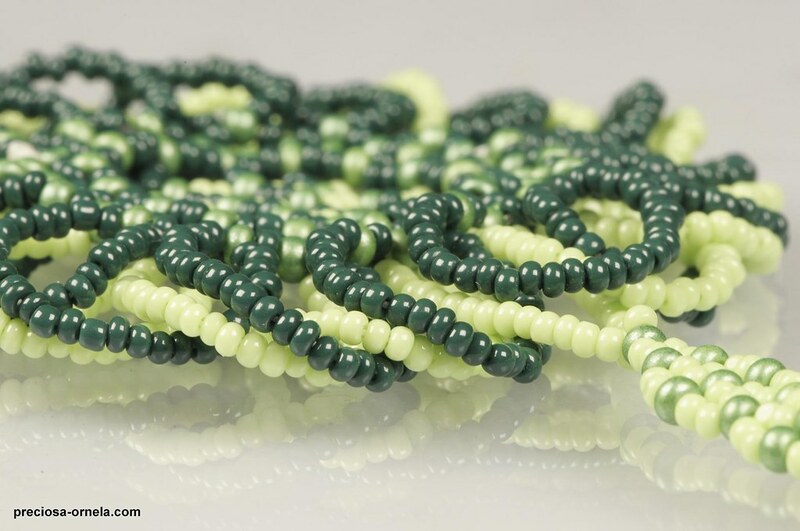 Samples of seed beads coming from 5 manufacturers - one Czech, three Japanese, and one Chinese manufacturer - were systematically studied, measured, and compared.